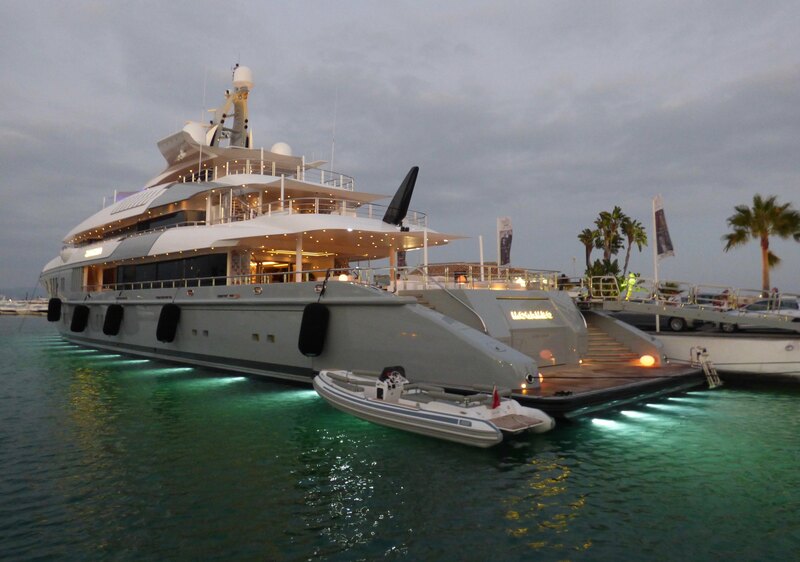 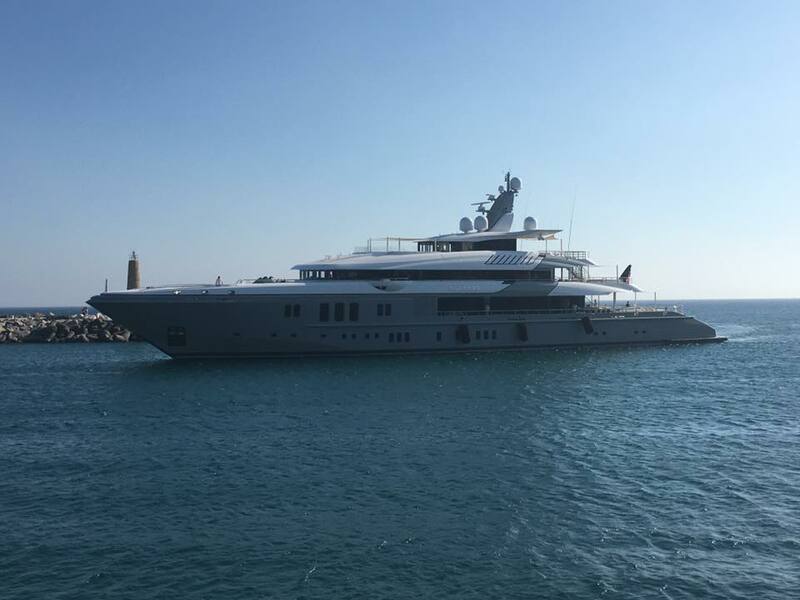 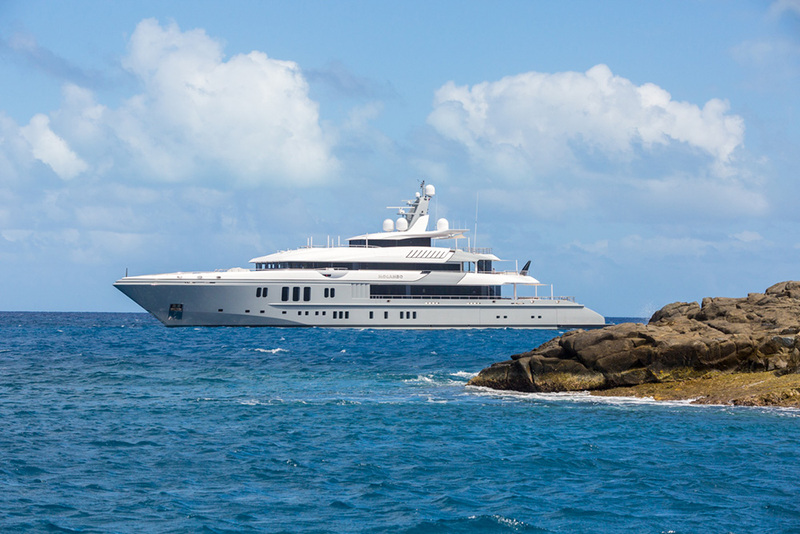 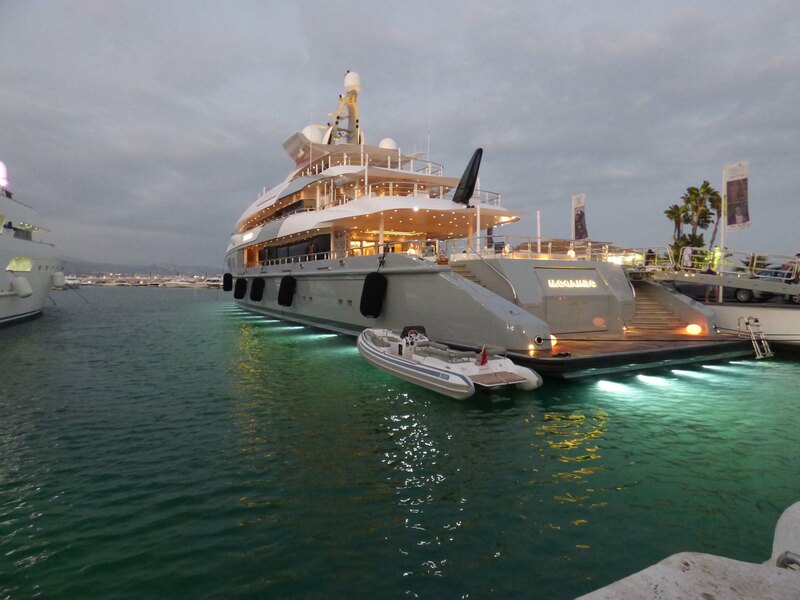 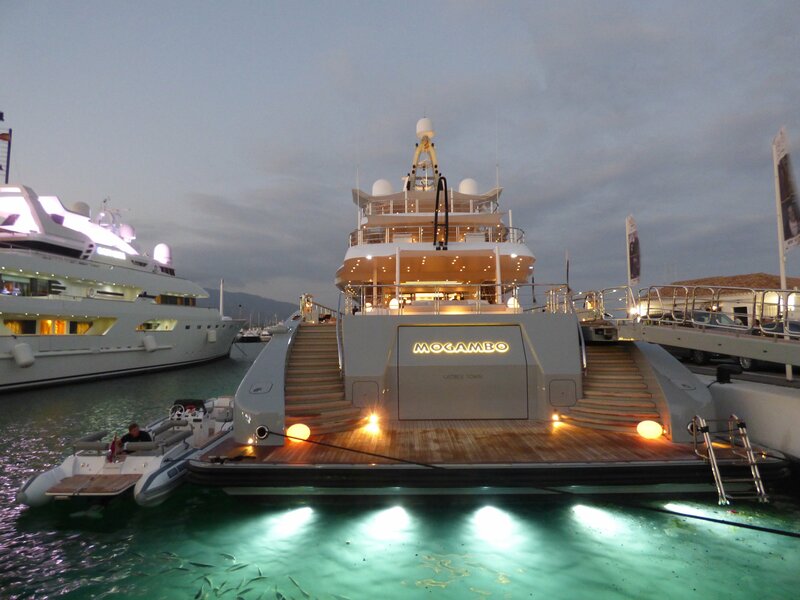 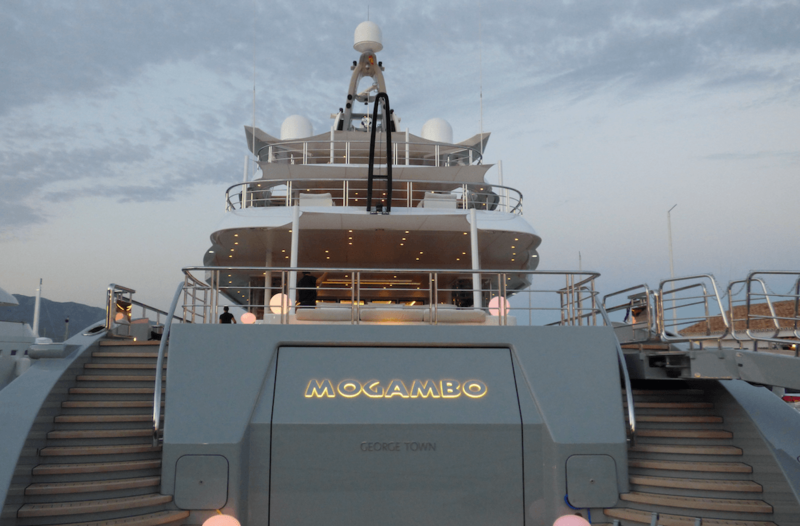 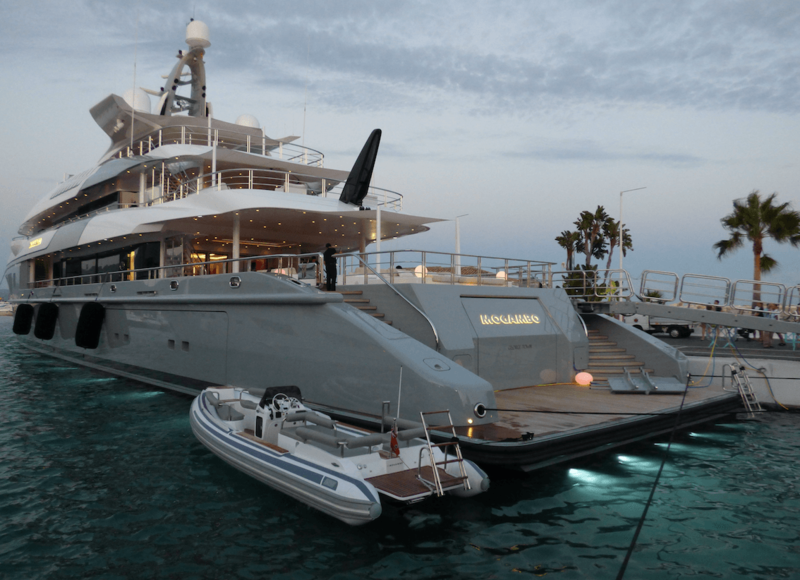 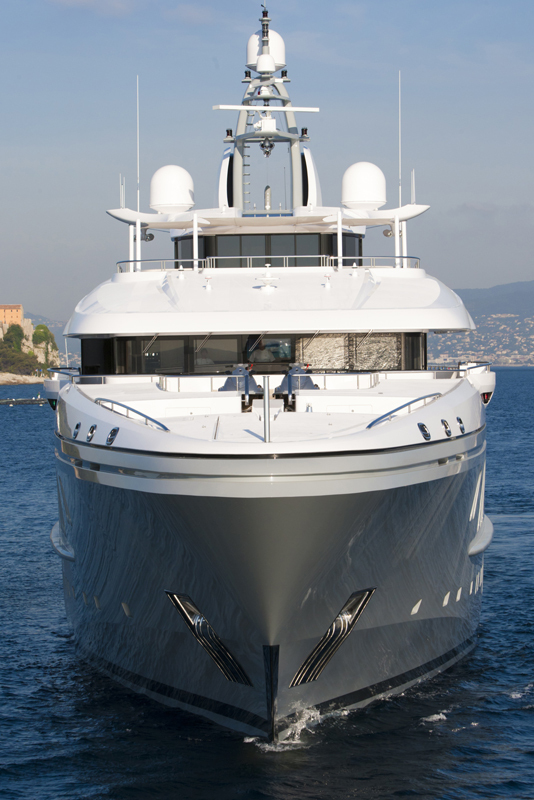 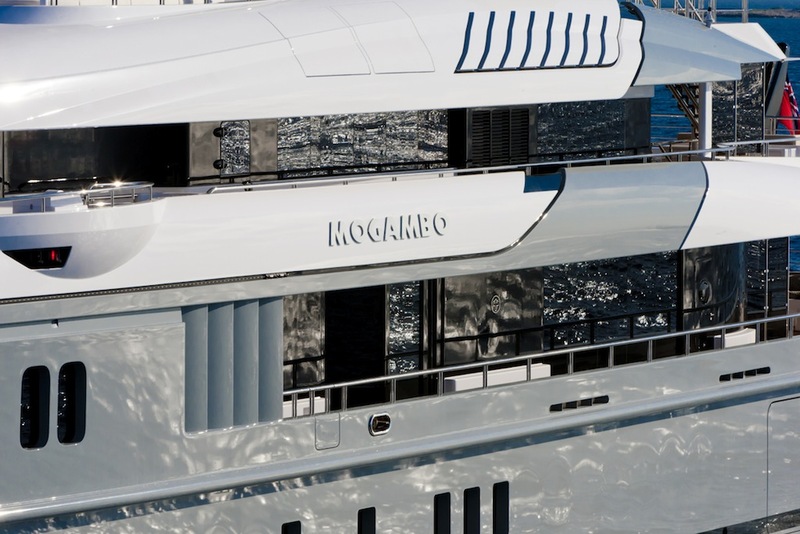 MOGAMBO is a 74m/242.8ft luxury motor yacht built by Nobiskrug in 2012. 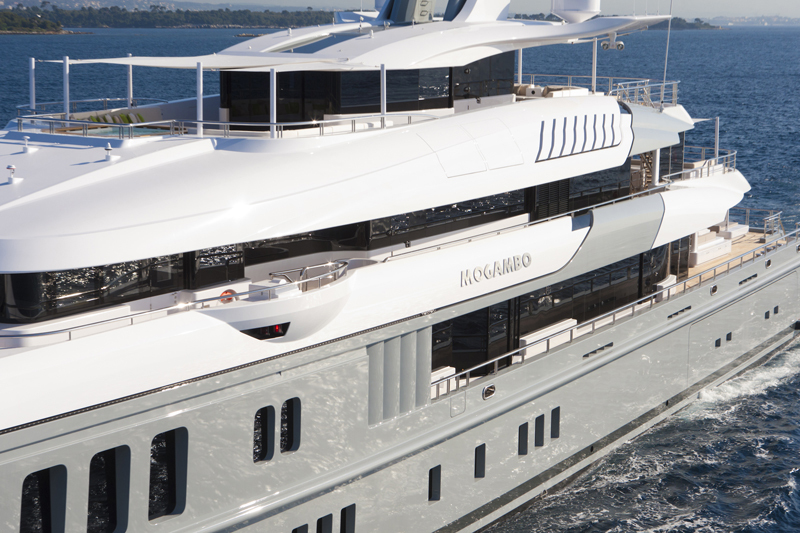 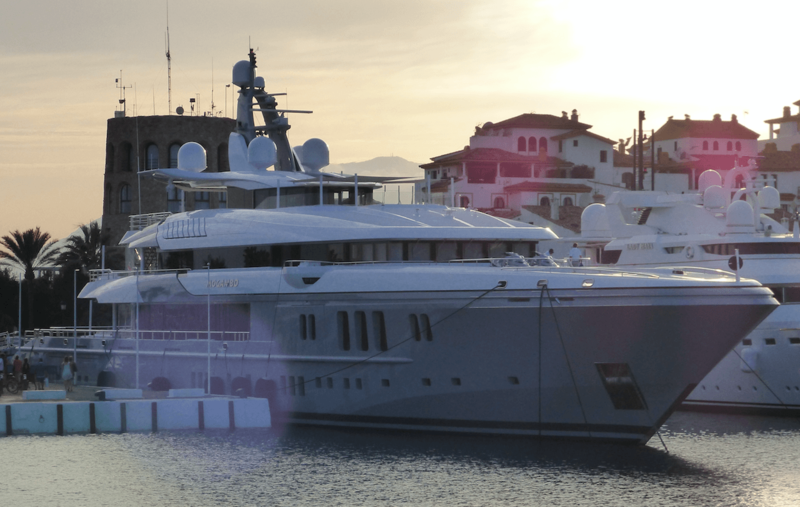 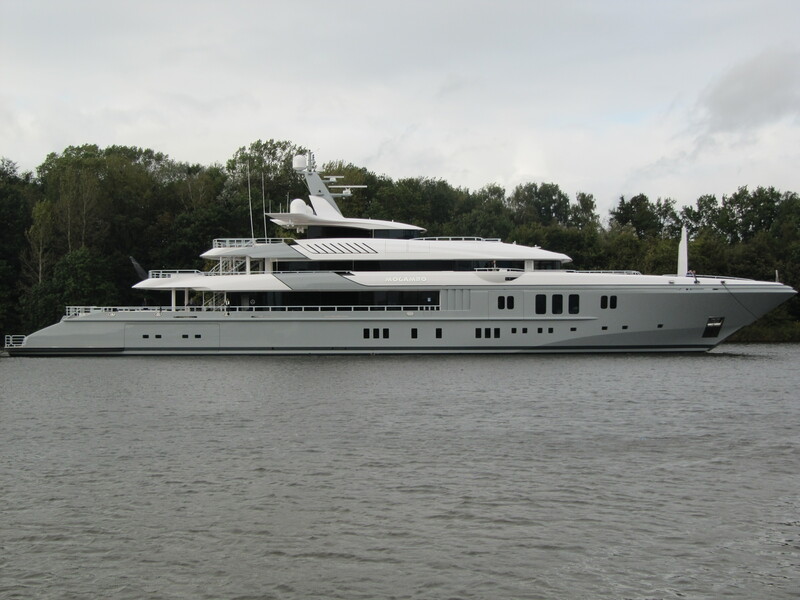 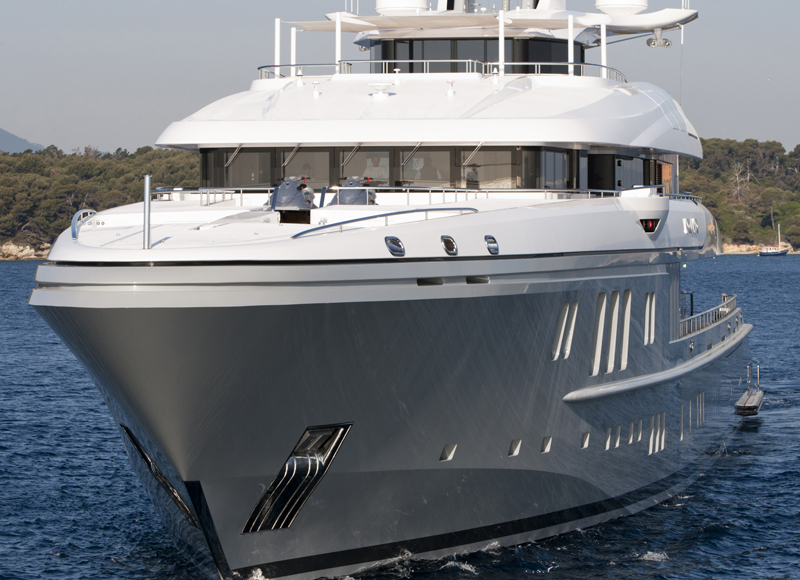 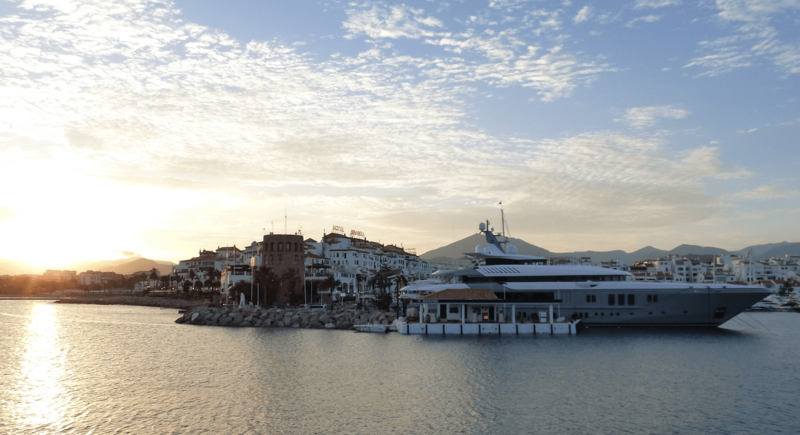 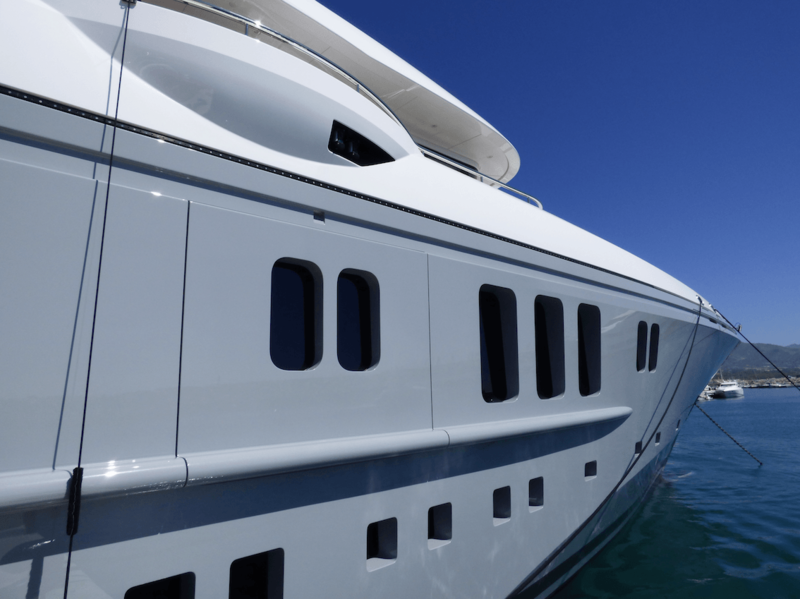 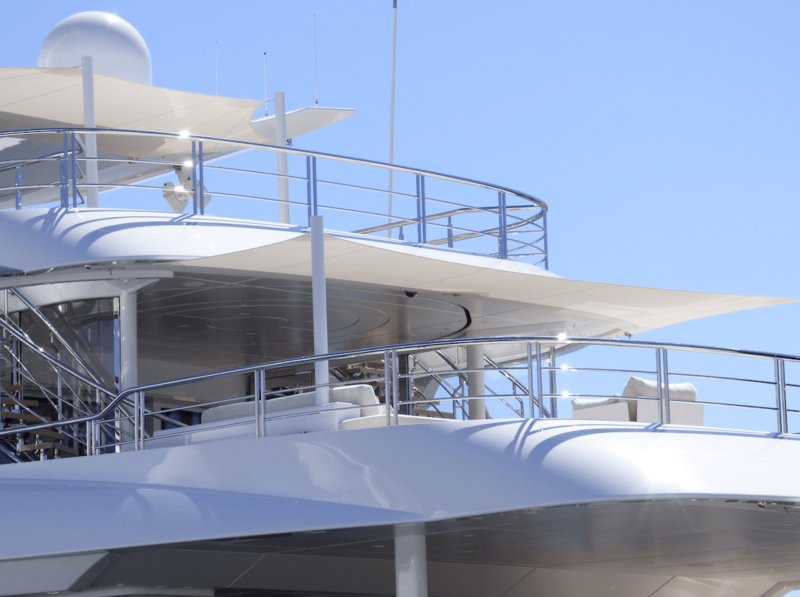 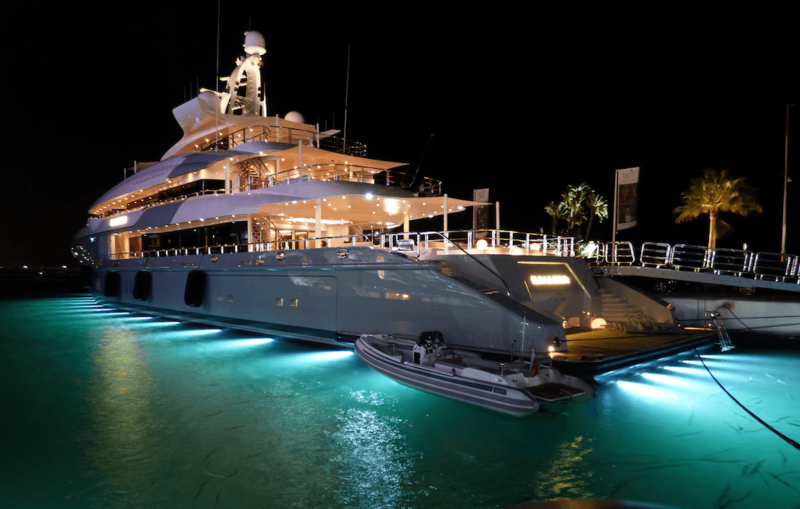 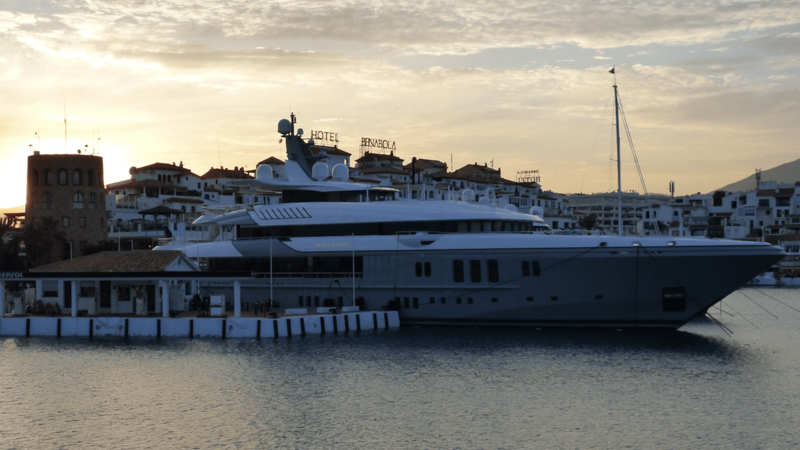 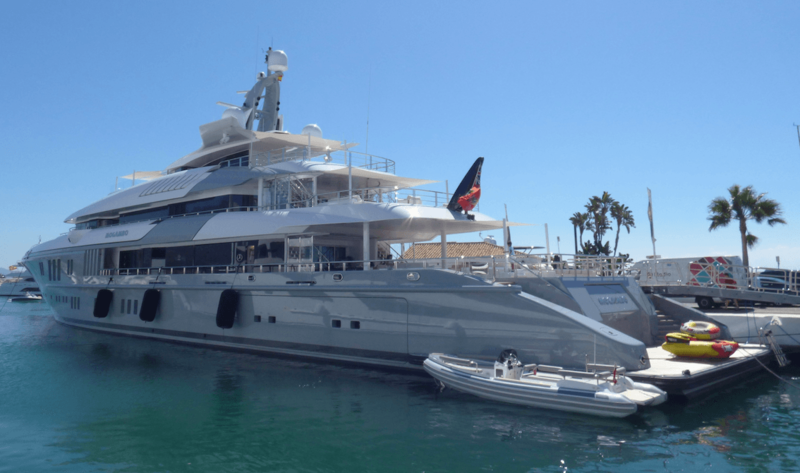 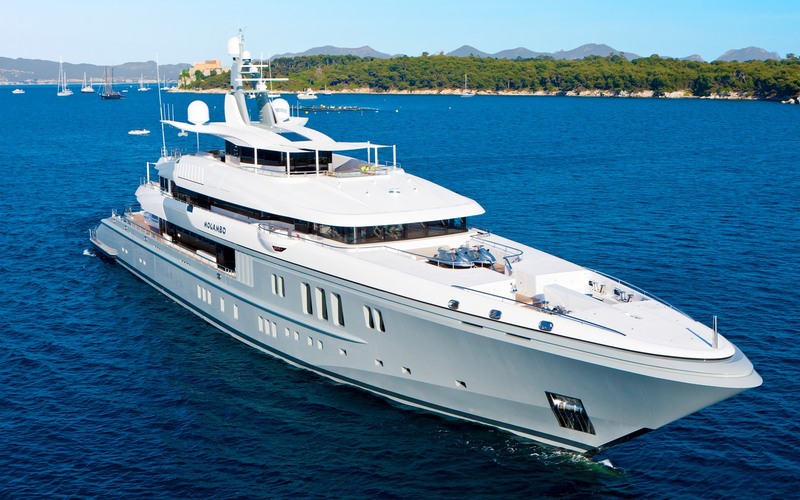 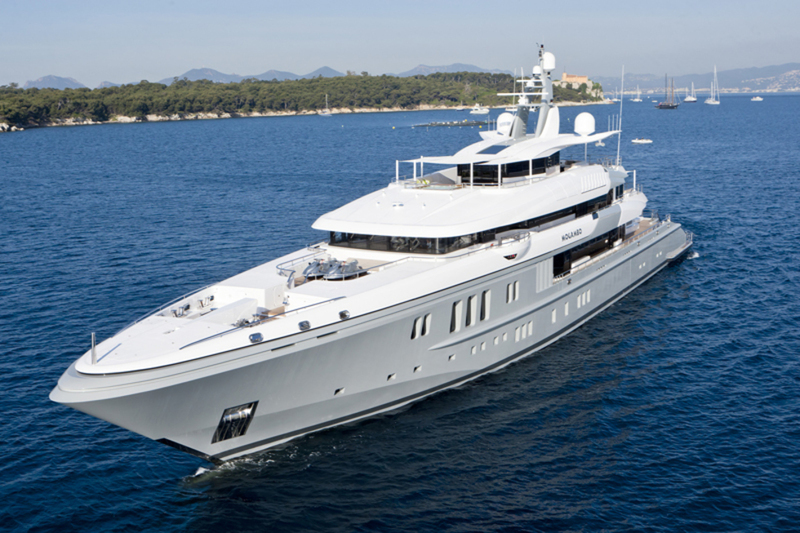 She is one of the finest steel-hulled superyacht constructed by the reputable shipbuilder. 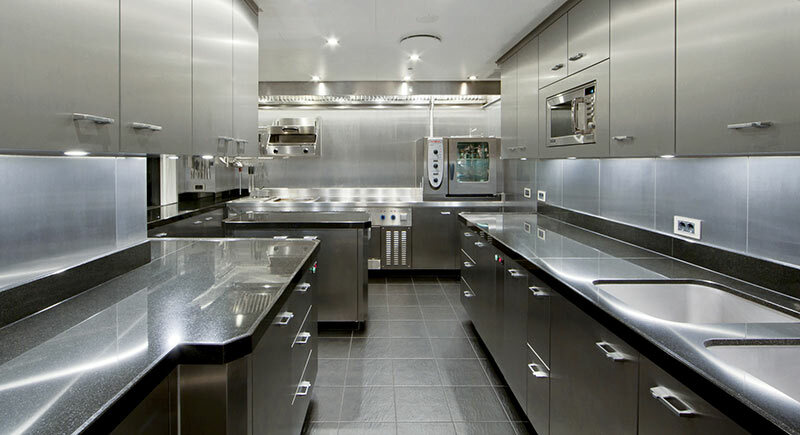 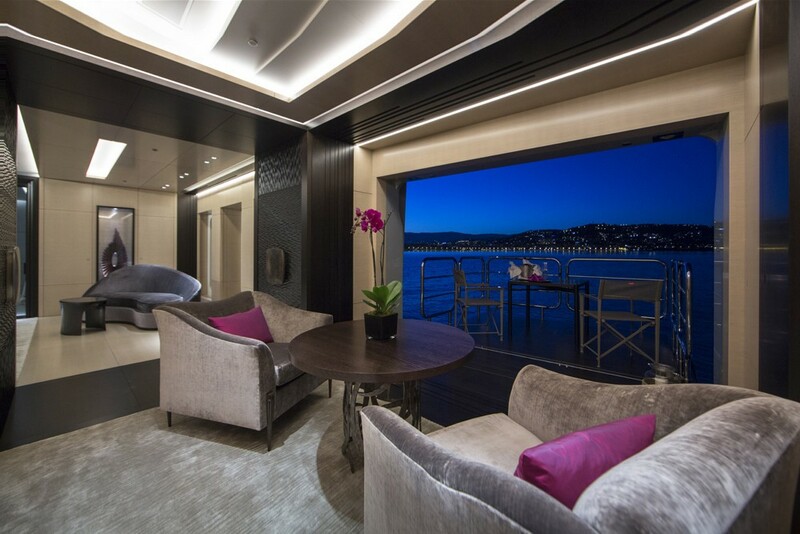 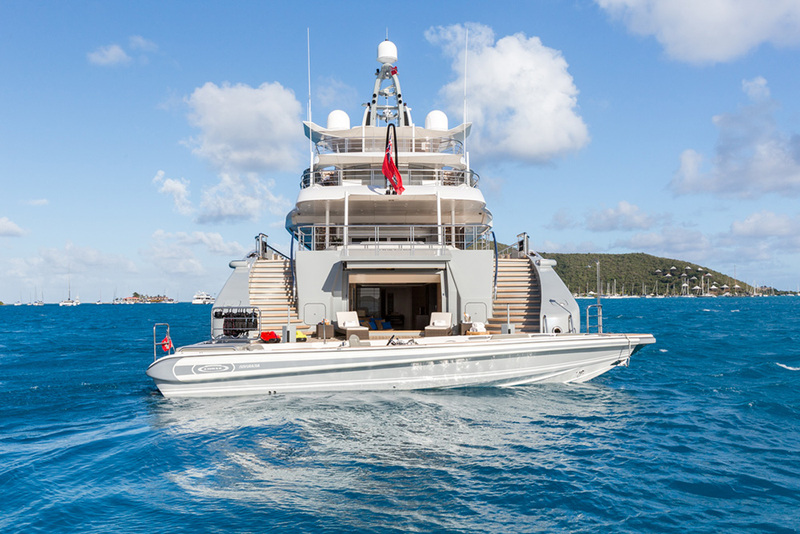 She features outstanding exterior lines and sophisticated interior design by Reymond Langdon Design. Accommodation on board is offered for up to 12 guests in 6 highly-comfortable cabins. 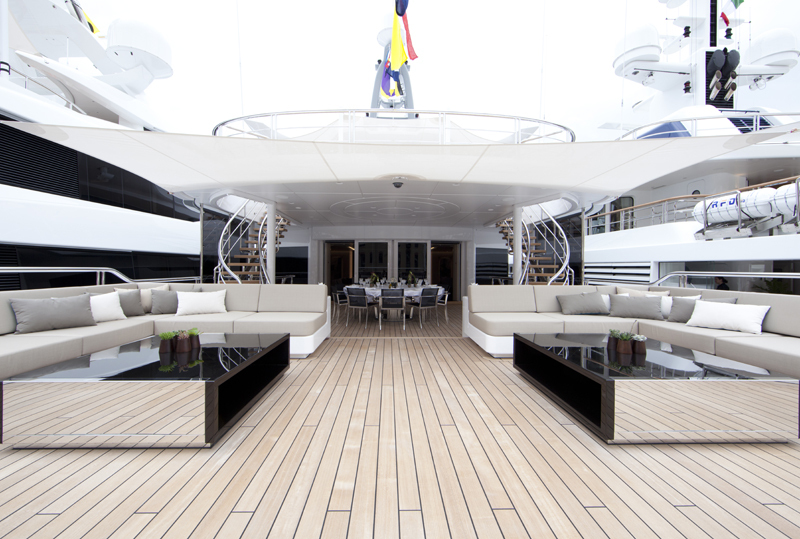 The grey paint, well-balanced deck and sleek lines create a truly elegant look. 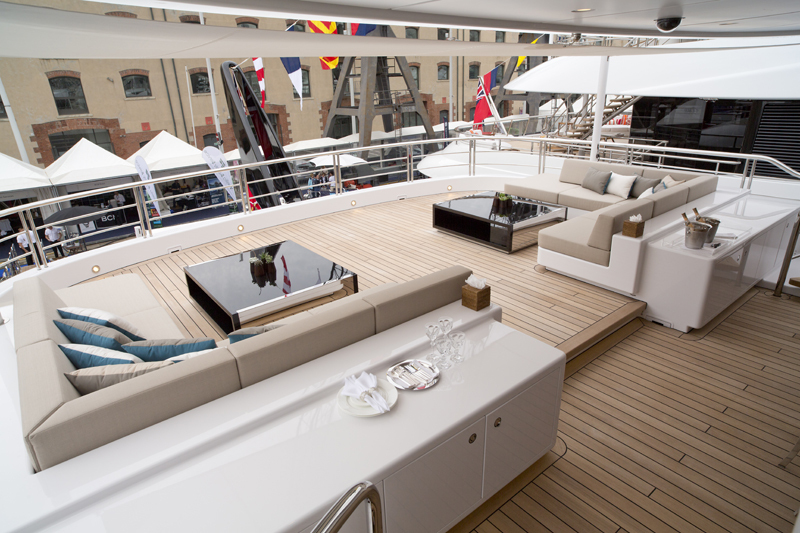 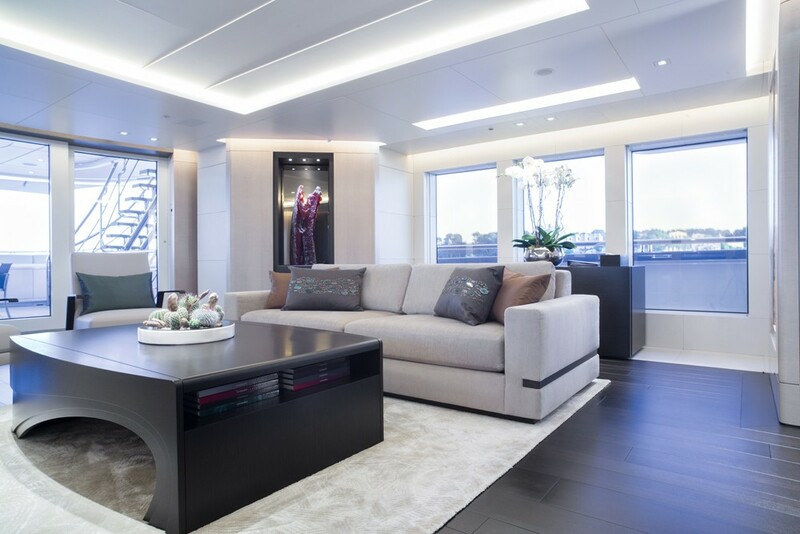 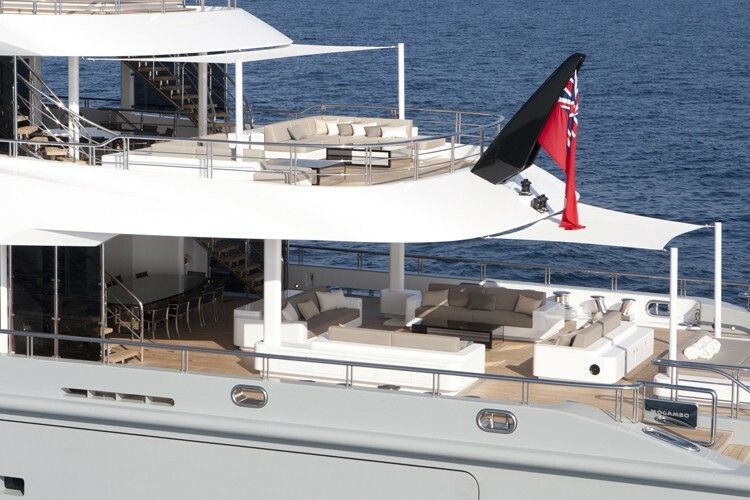 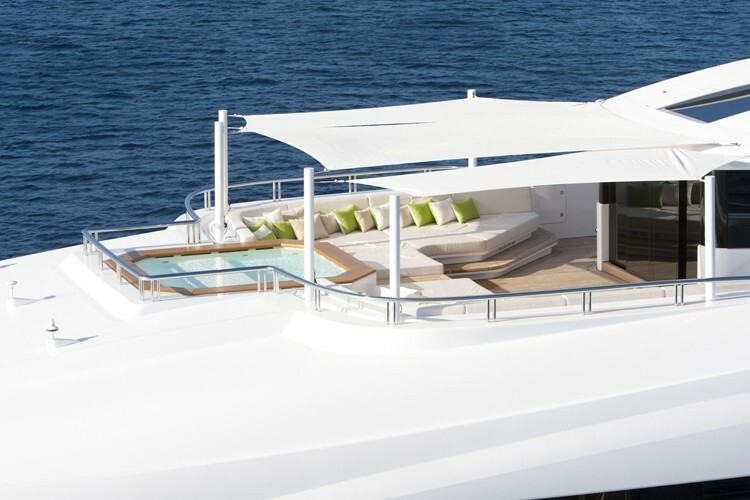 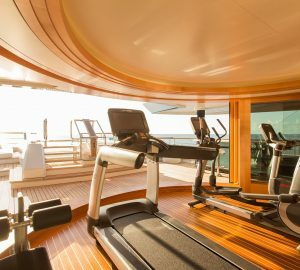 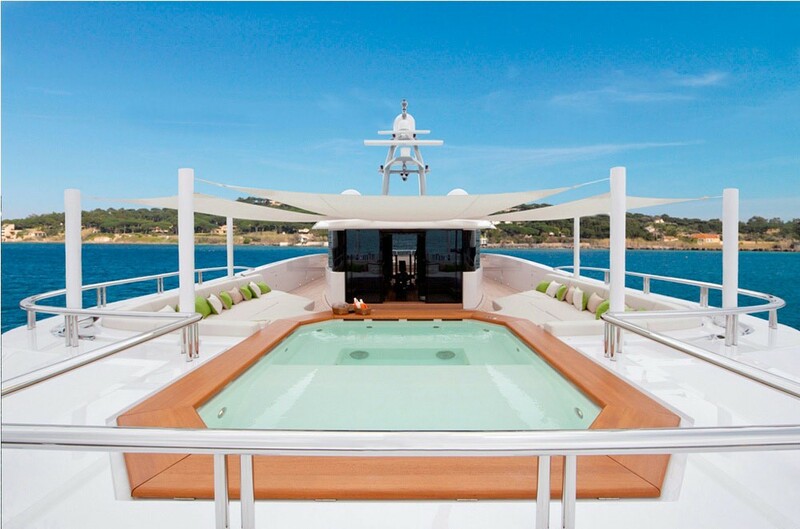 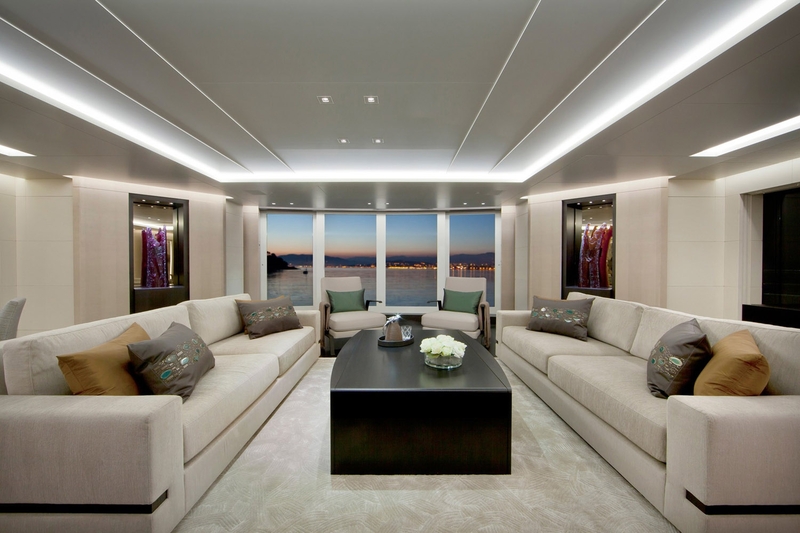 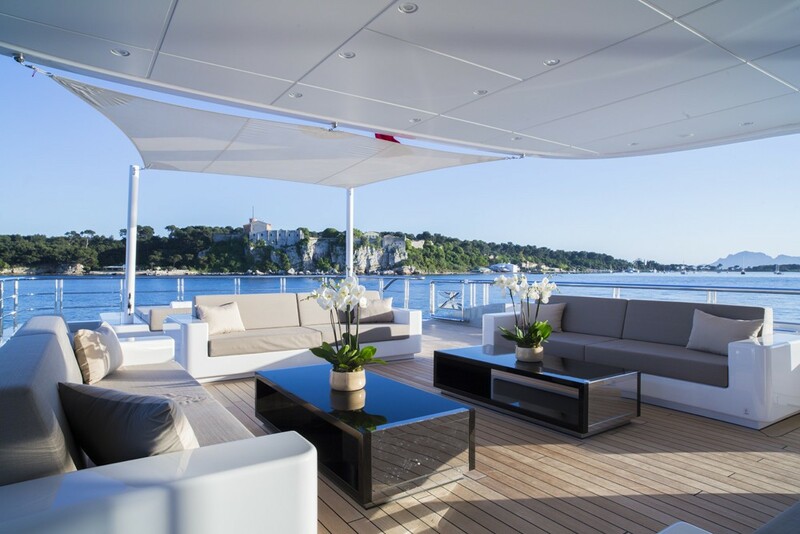 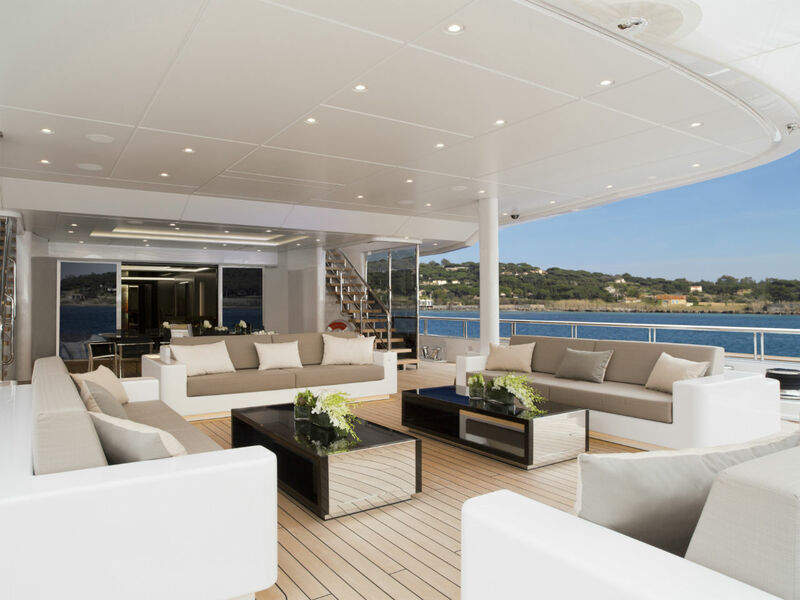 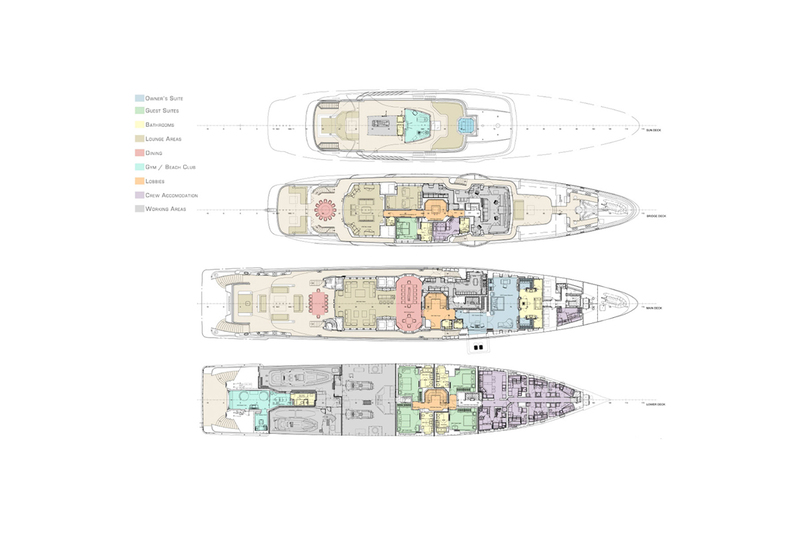 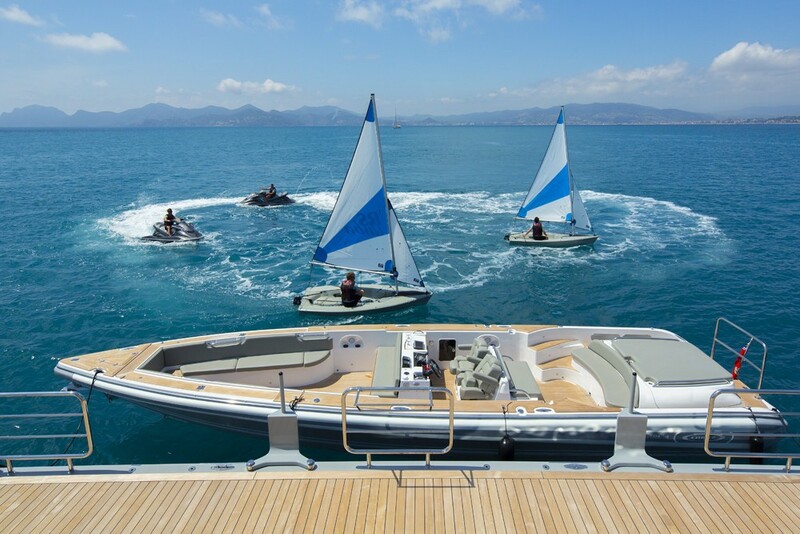 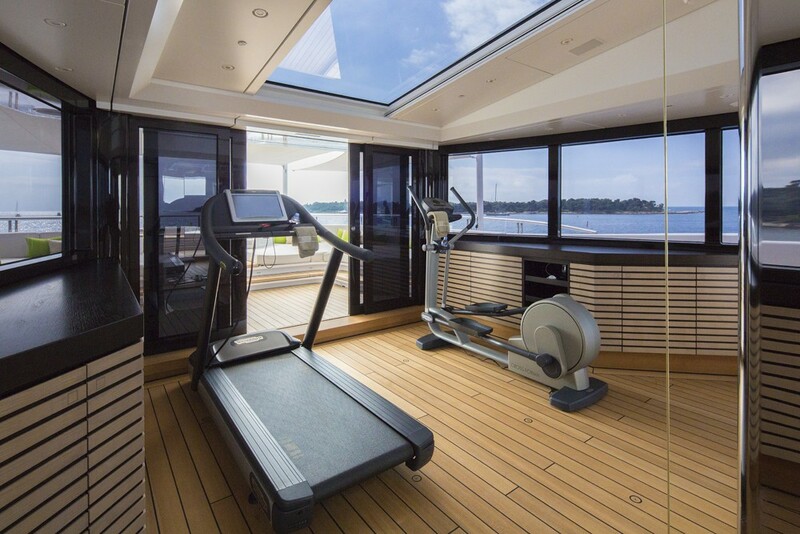 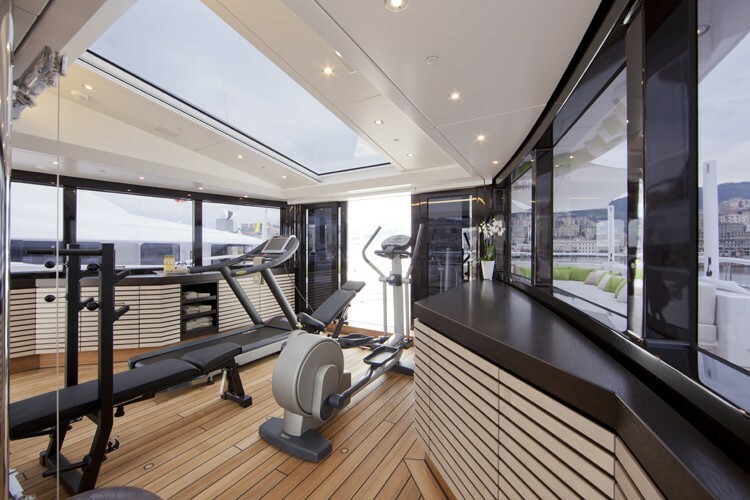 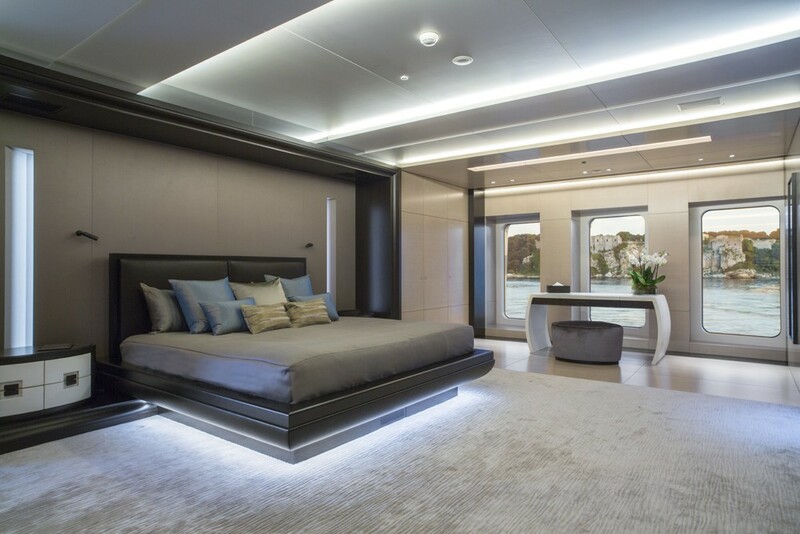 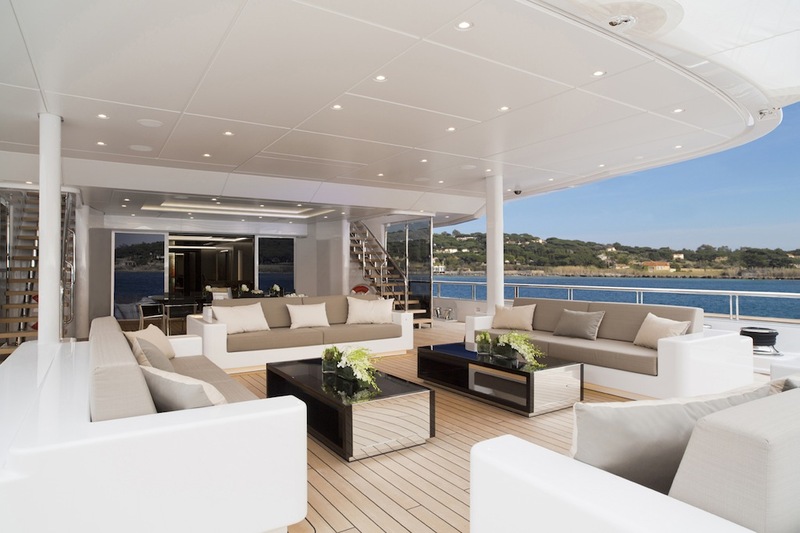 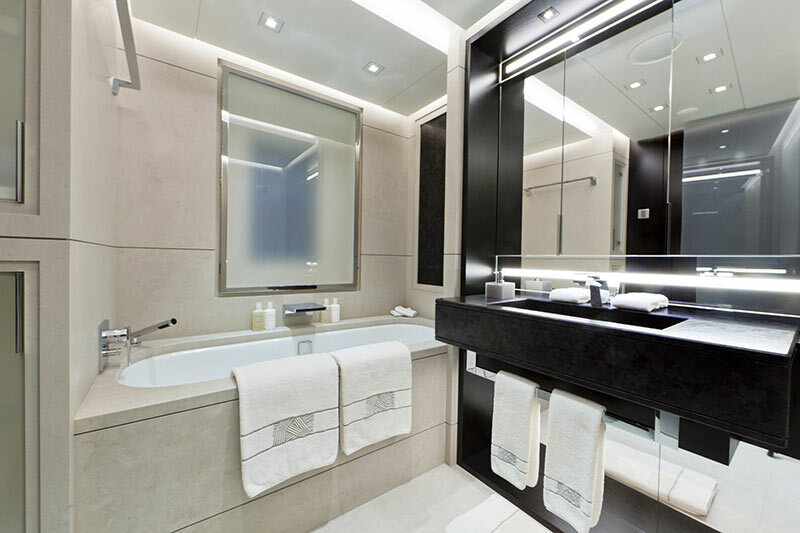 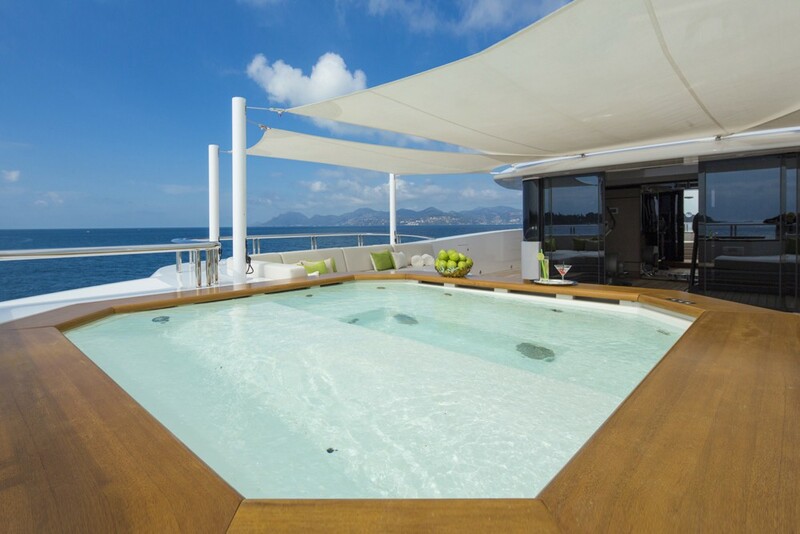 She was designed for global cruising and luxurious indoor and outdoor living. 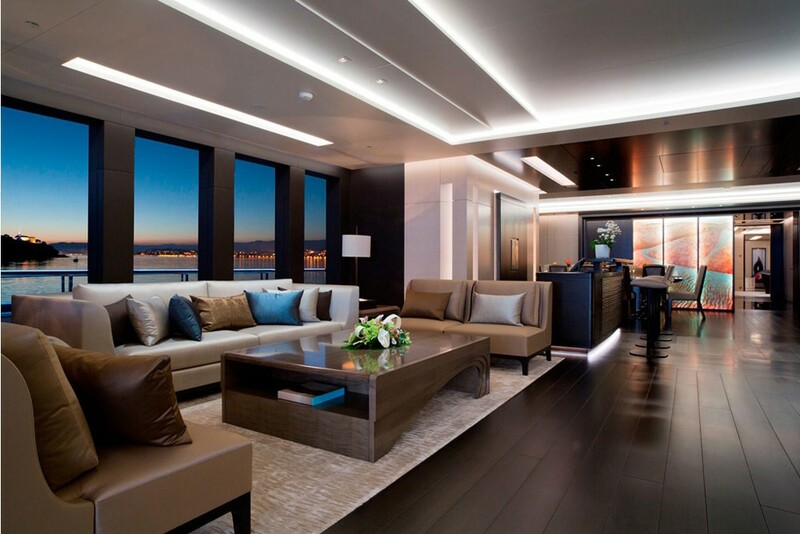 As for the interior design, it benefits form large windows and abundance of natural light. 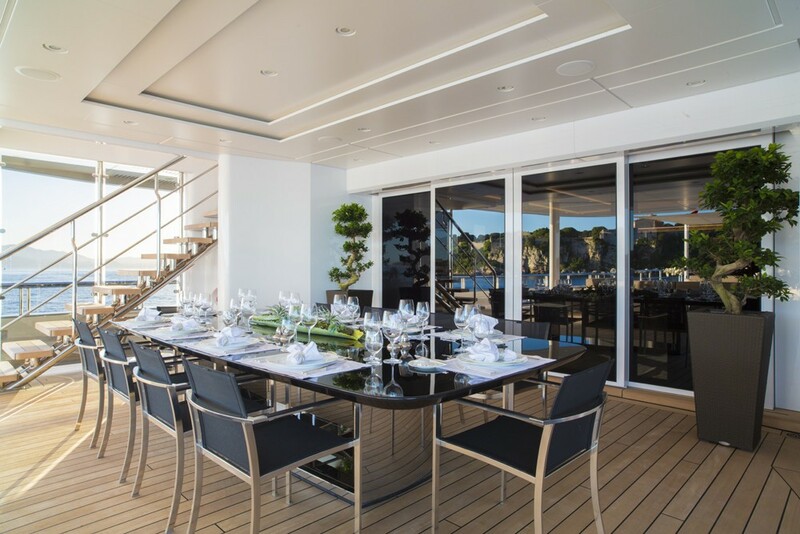 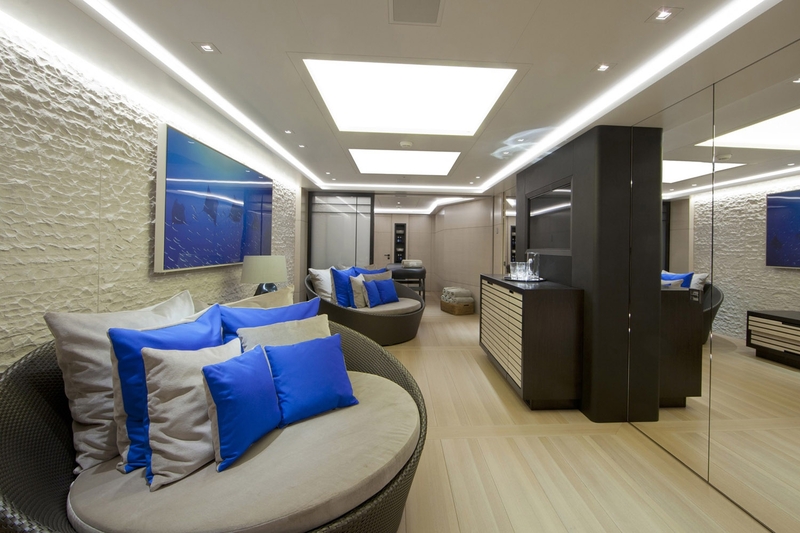 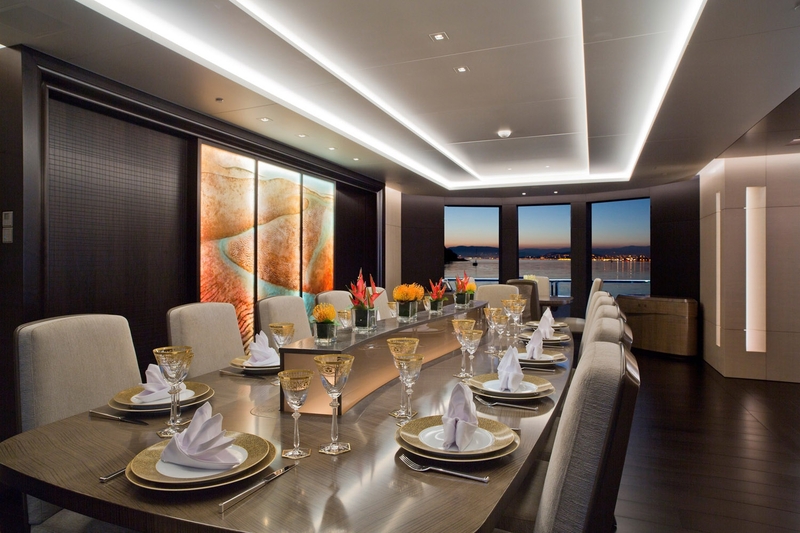 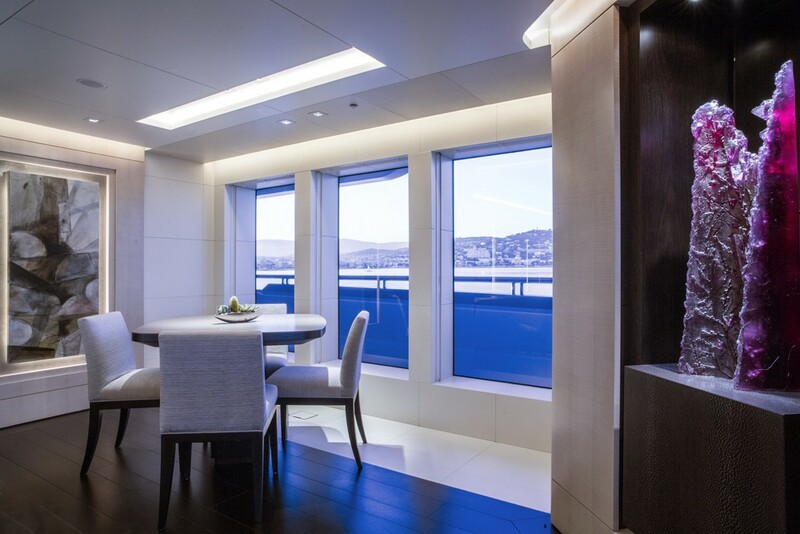 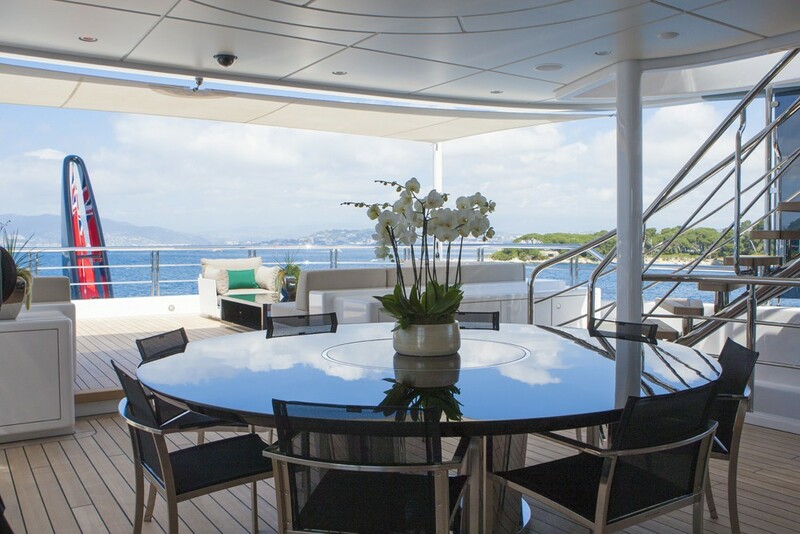 The dining area and salon areon the main deck, offering plenty of space for formal dining, lounging and socializing. 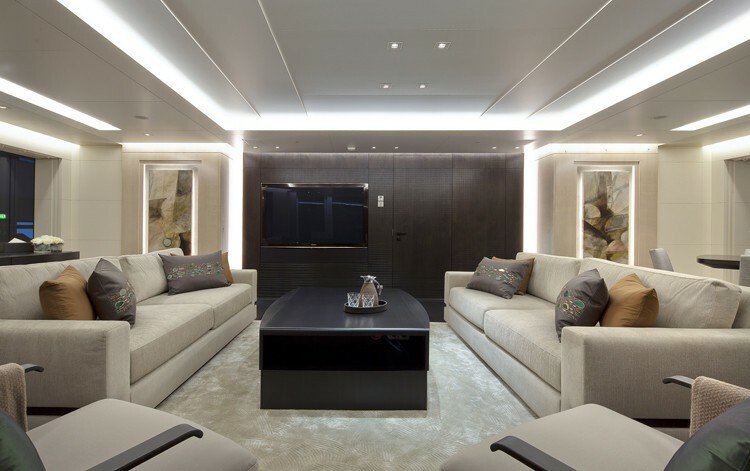 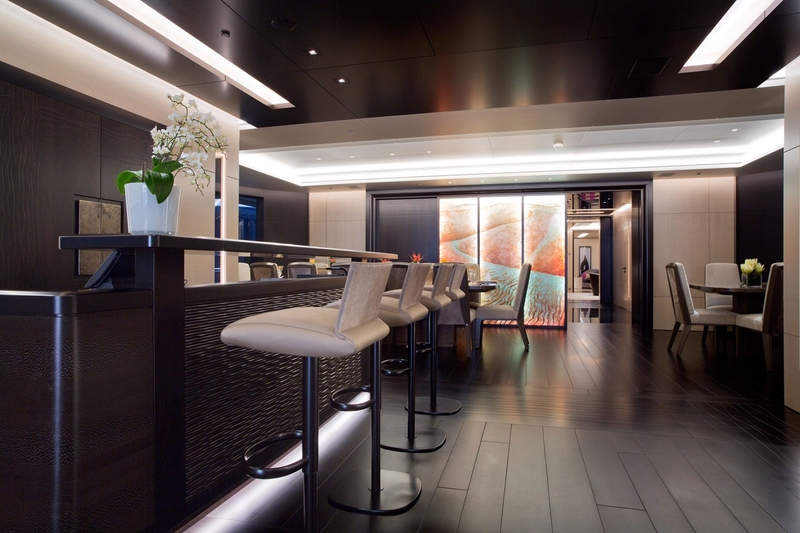 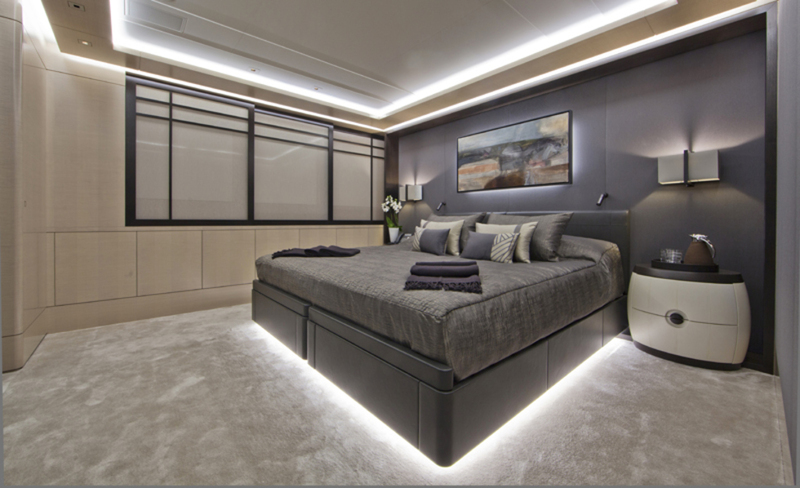 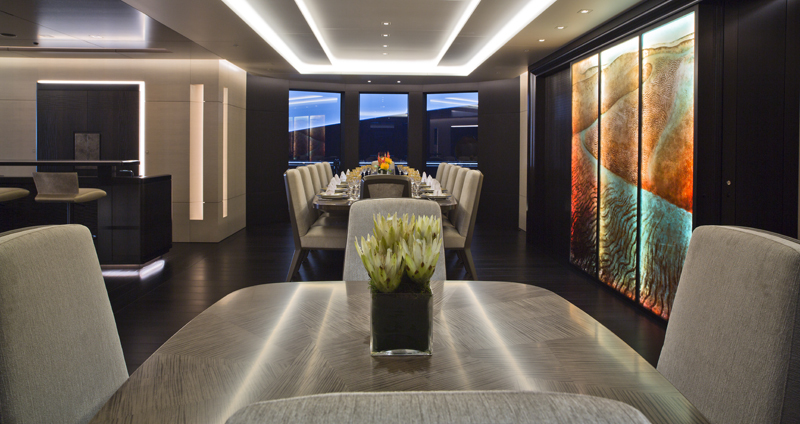 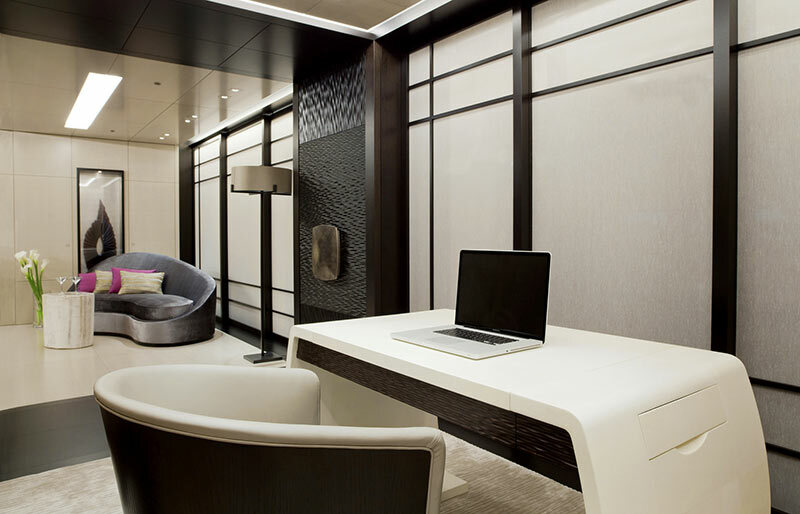 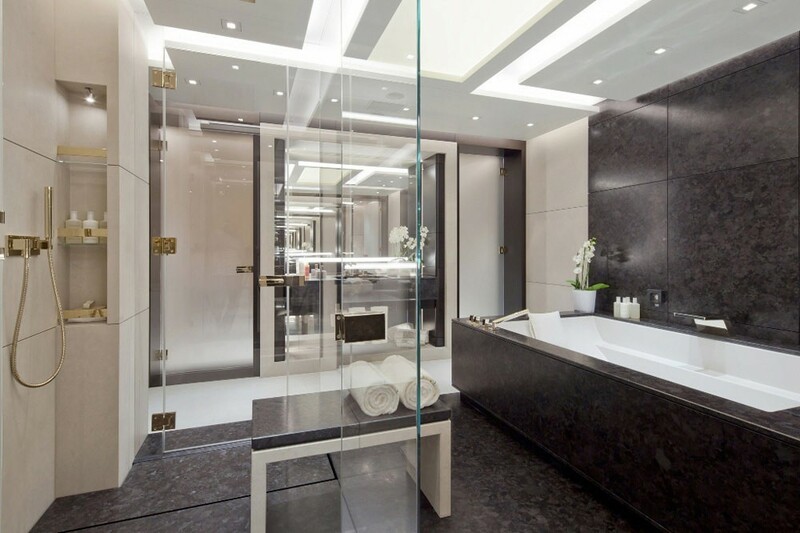 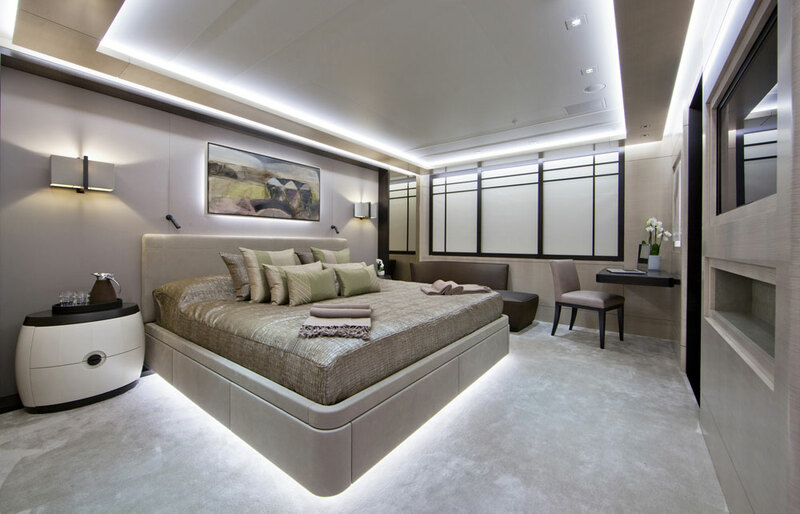 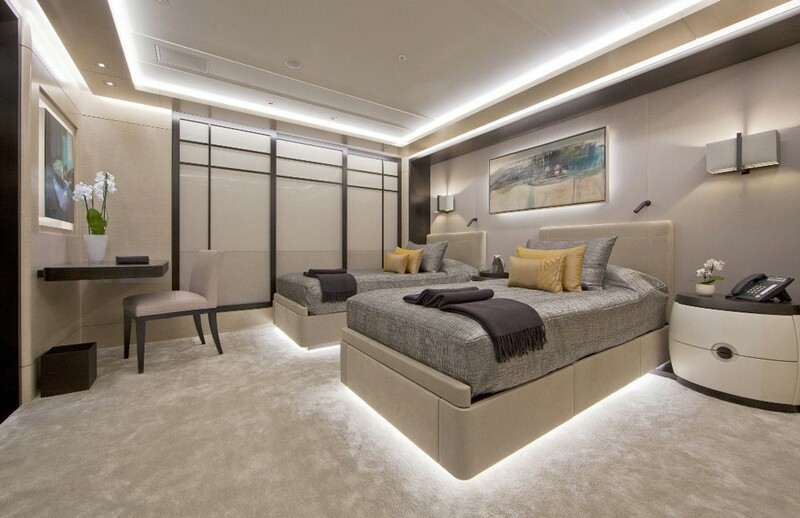 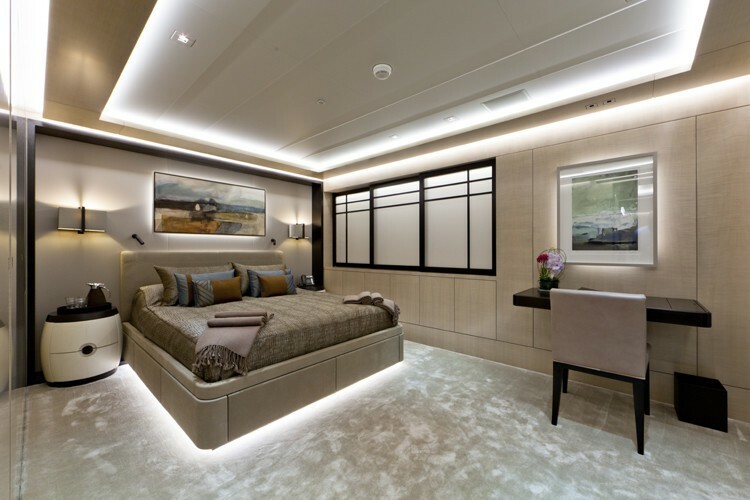 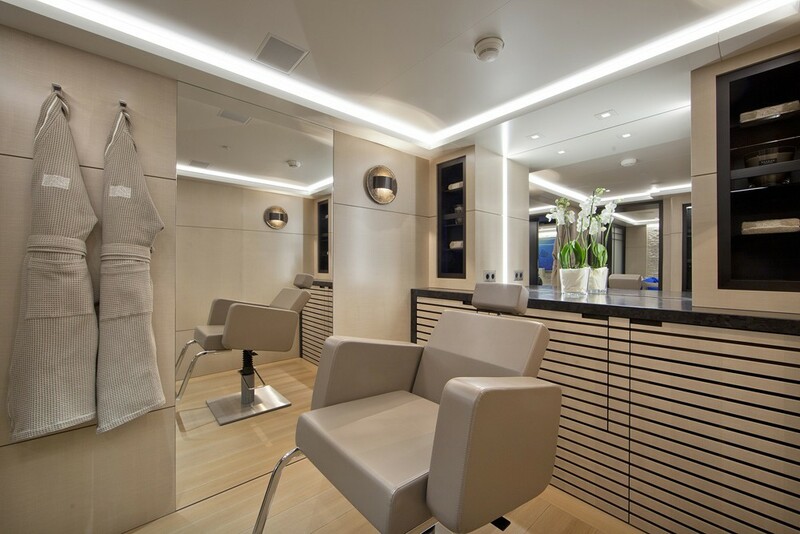 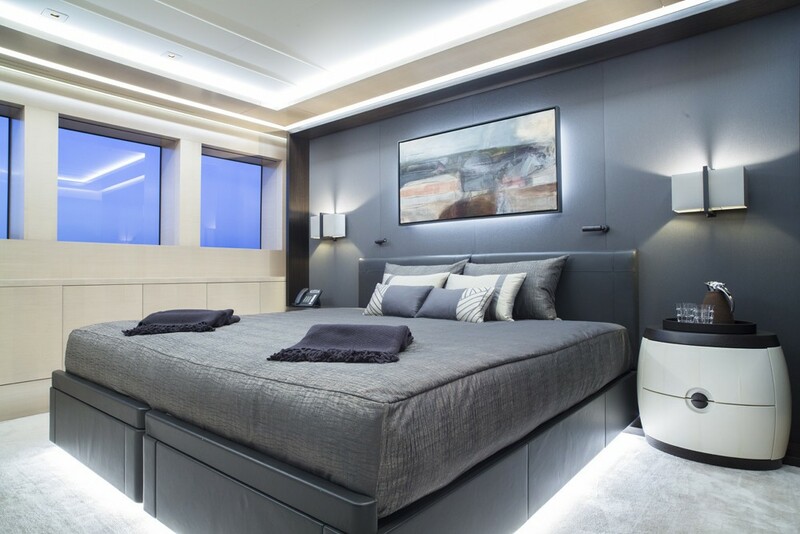 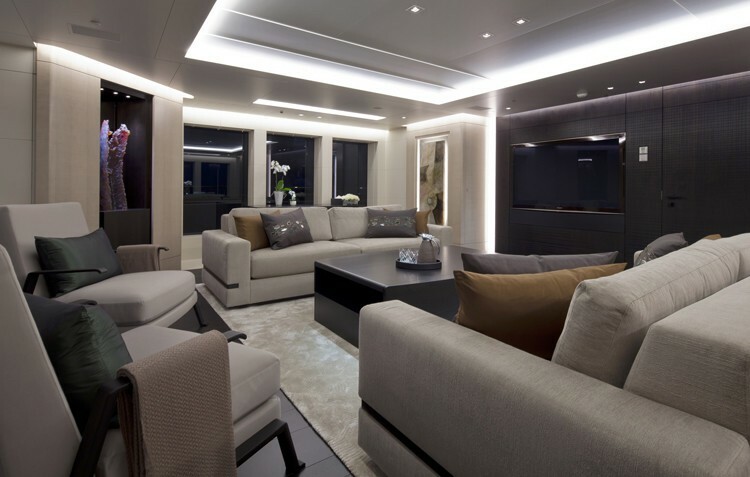 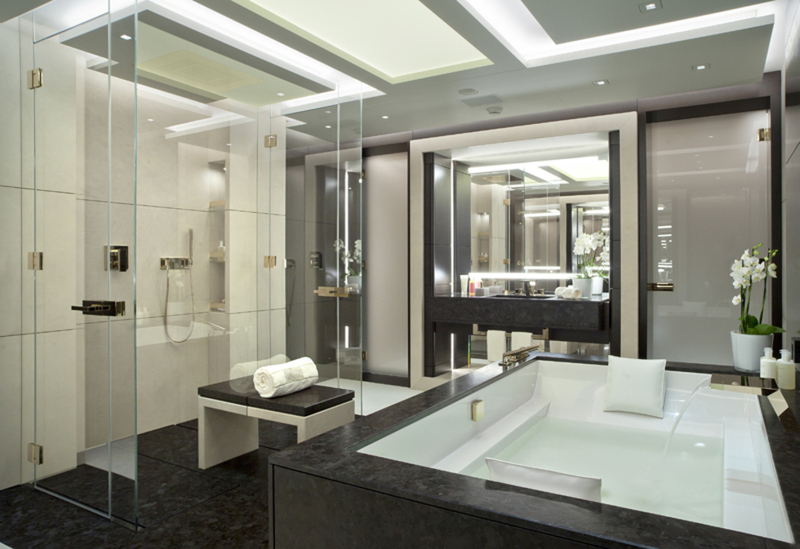 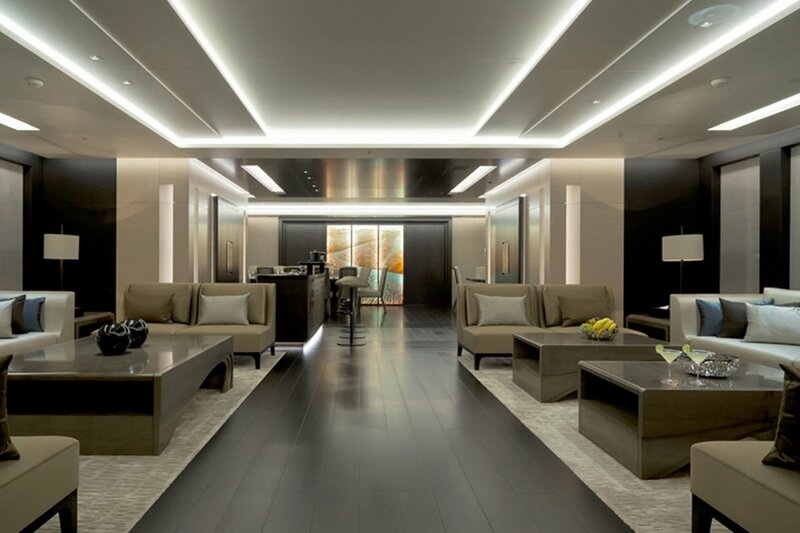 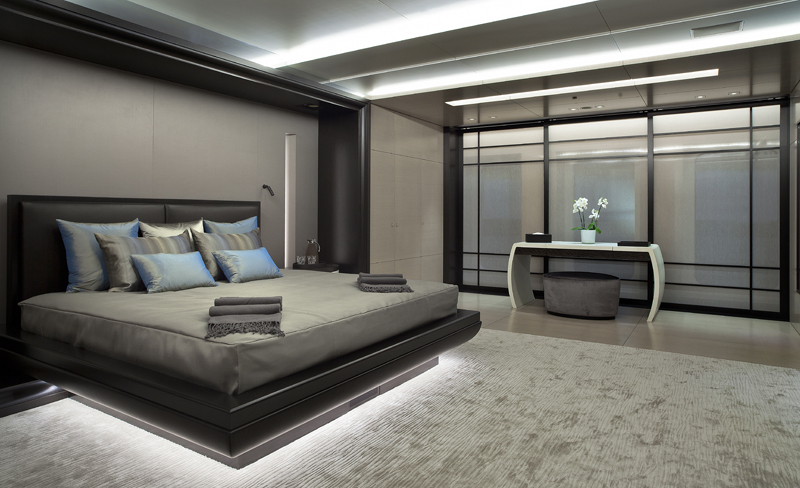 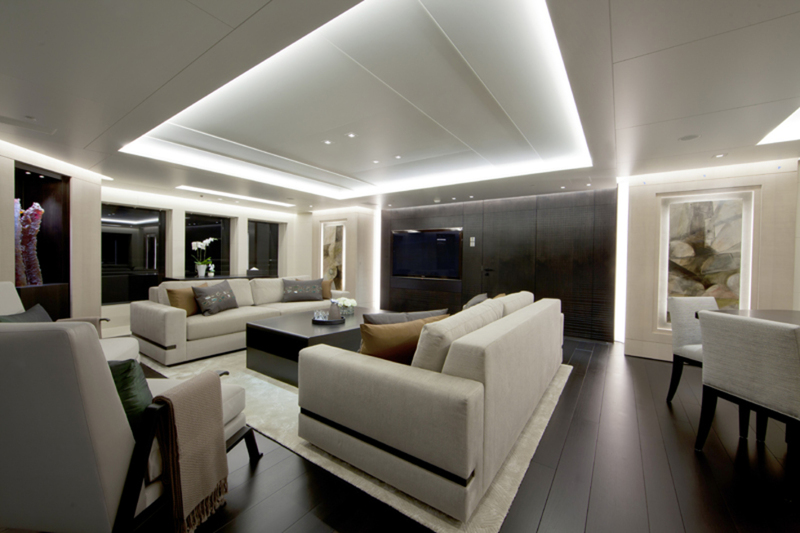 Ebonized walnut floors and sycamore wood paneling create a sophisticated and calm ambience. 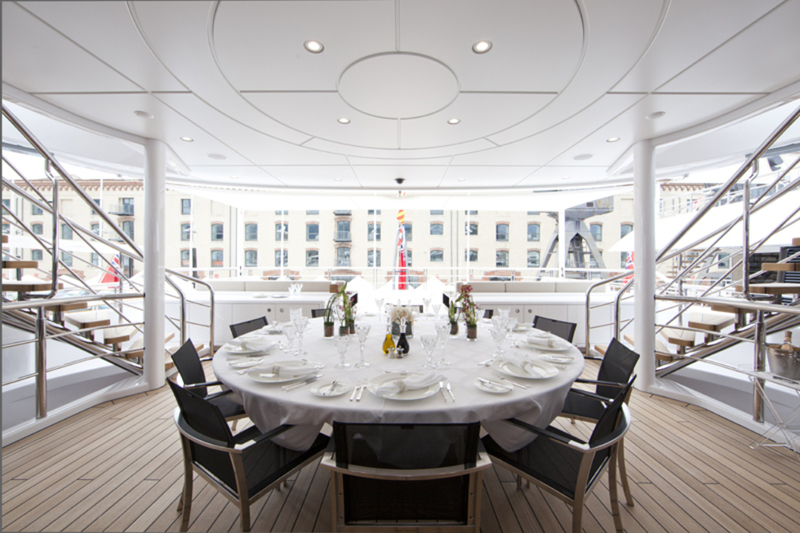 Twelve guest can dine in style ay the large table located further away from the seating area. 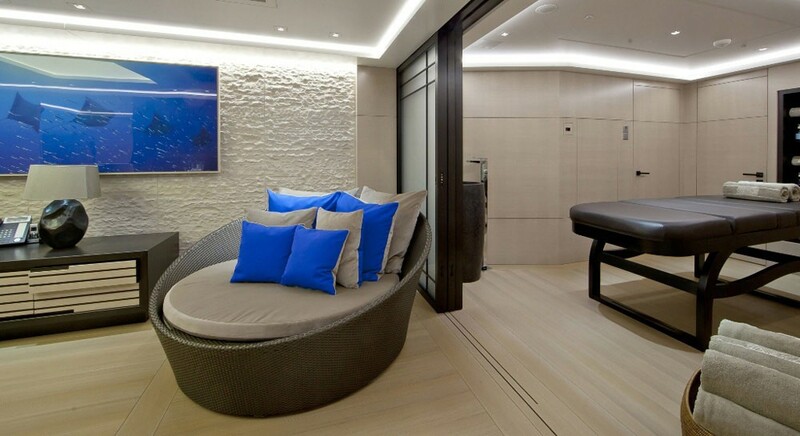 The beach cub boasts massage room, sauna and steam room, beauty salon and lounge. 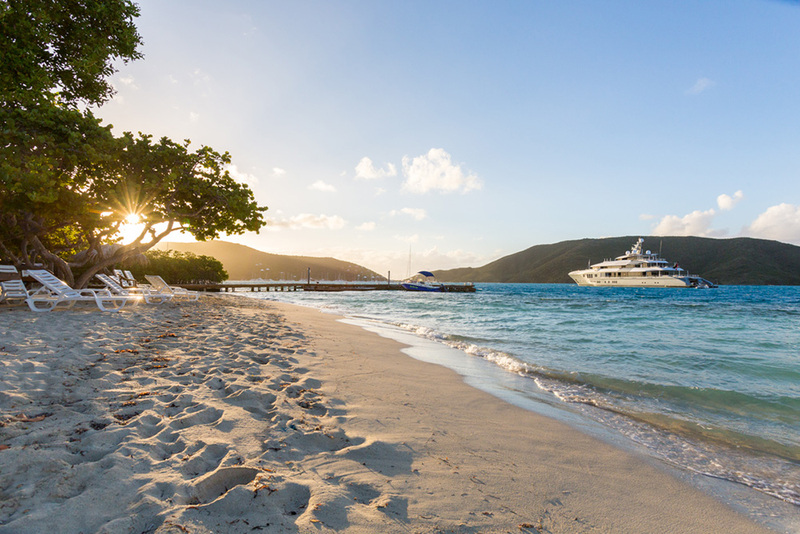 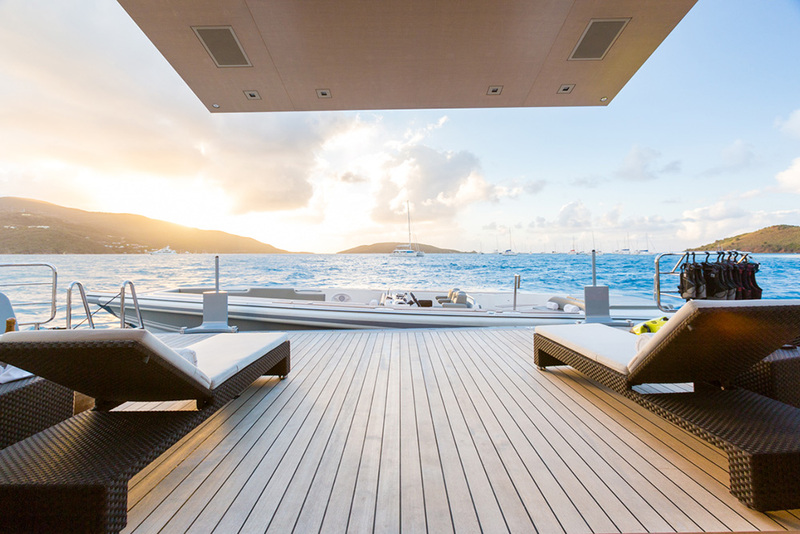 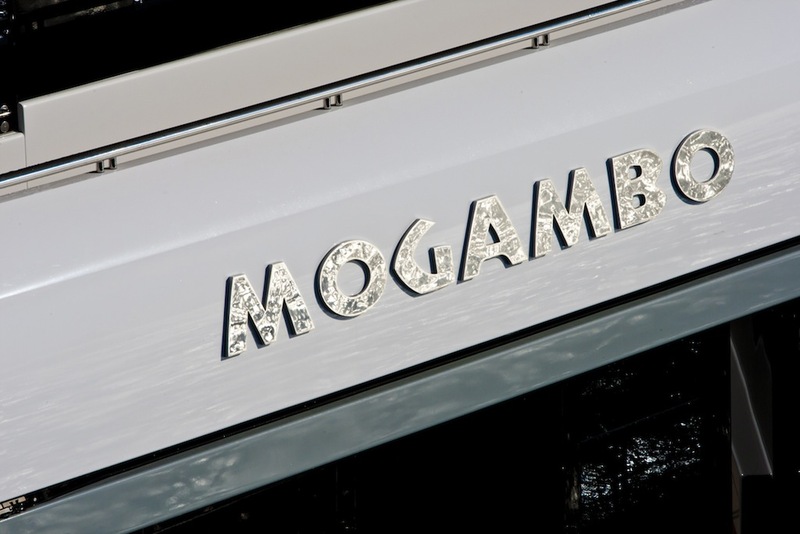 Sunbathing, swimming and relaxation are the key activities when it comes to luxury lifestyle aboard MOGAMBO. 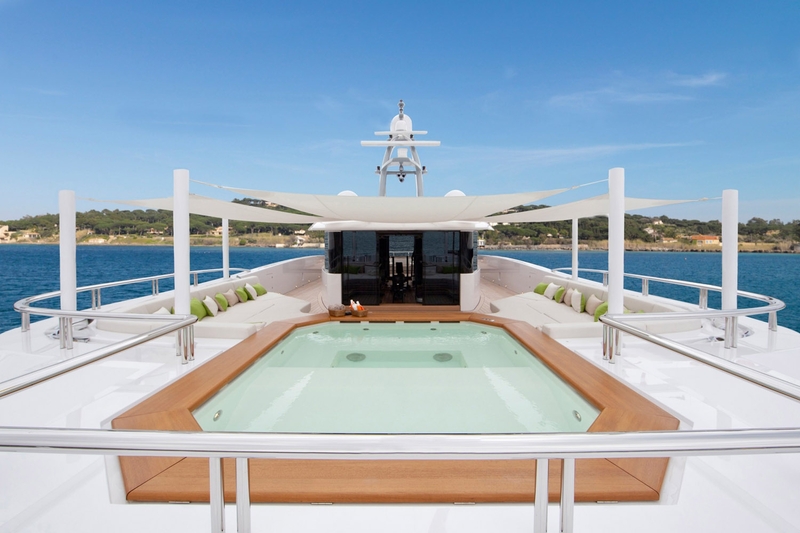 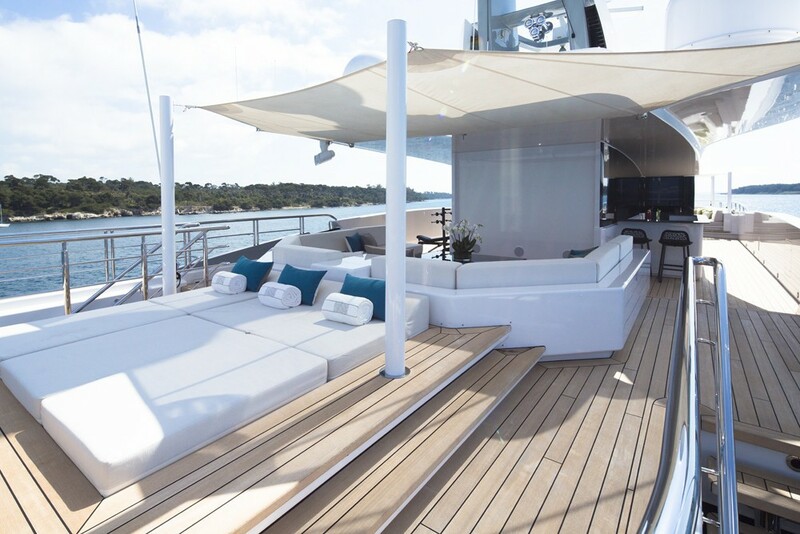 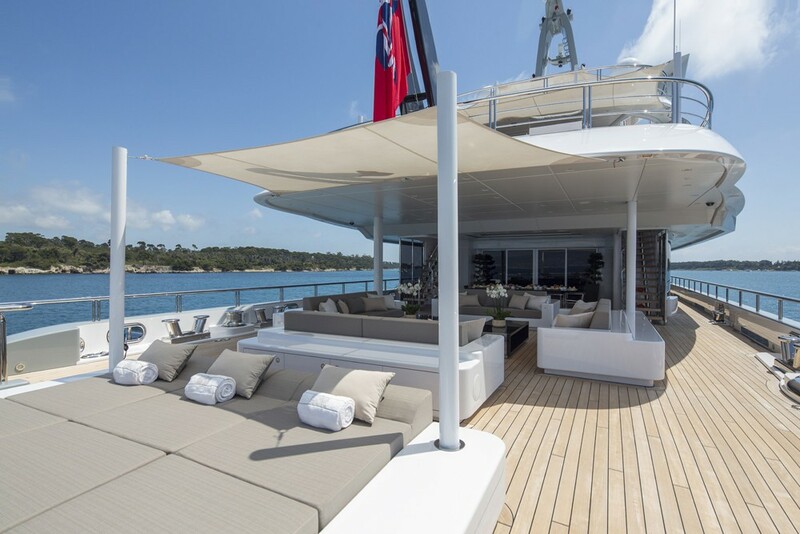 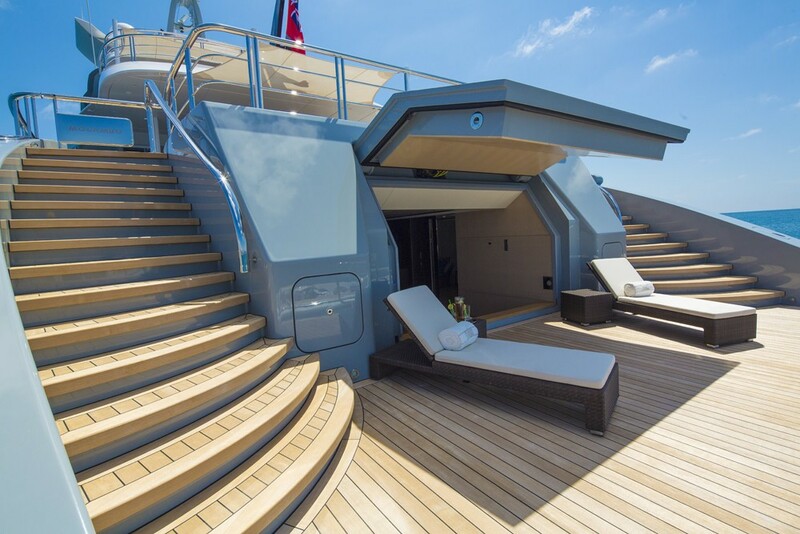 The large pool, partially shaded sunbathing/seating area are on the main deck aft. 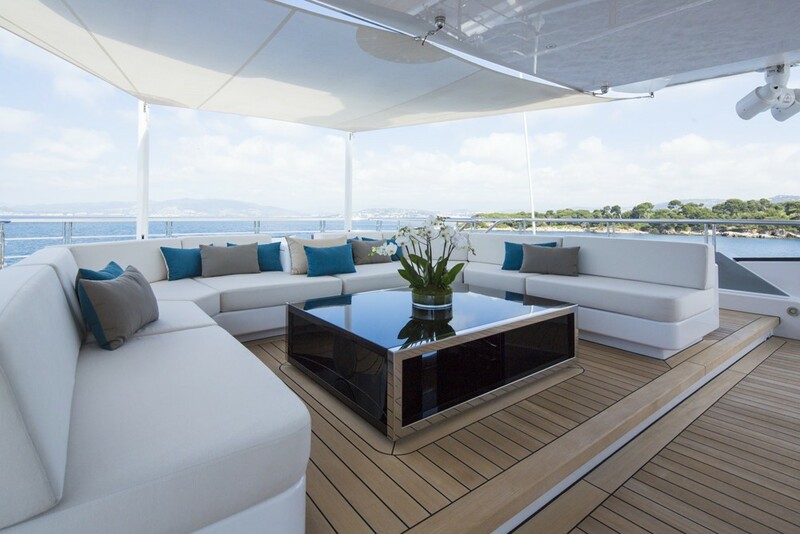 The exterior living spaces also offer great alfresco dining table, plush seating and sun loungers. 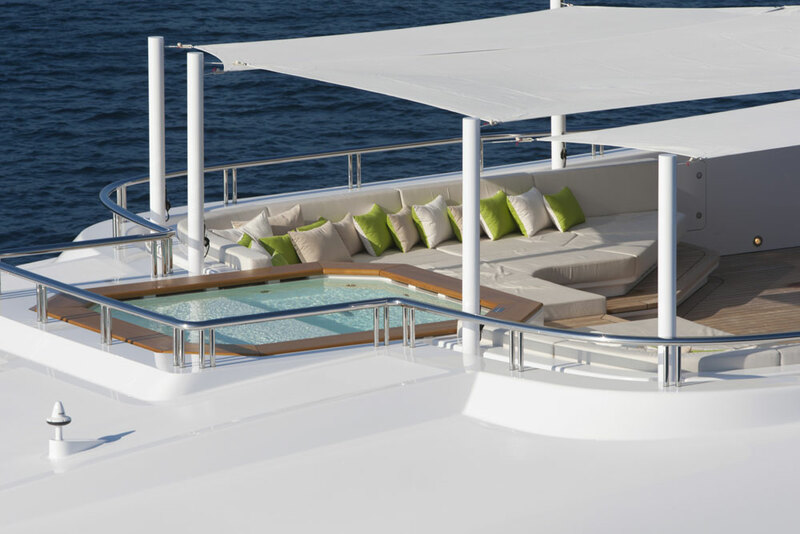 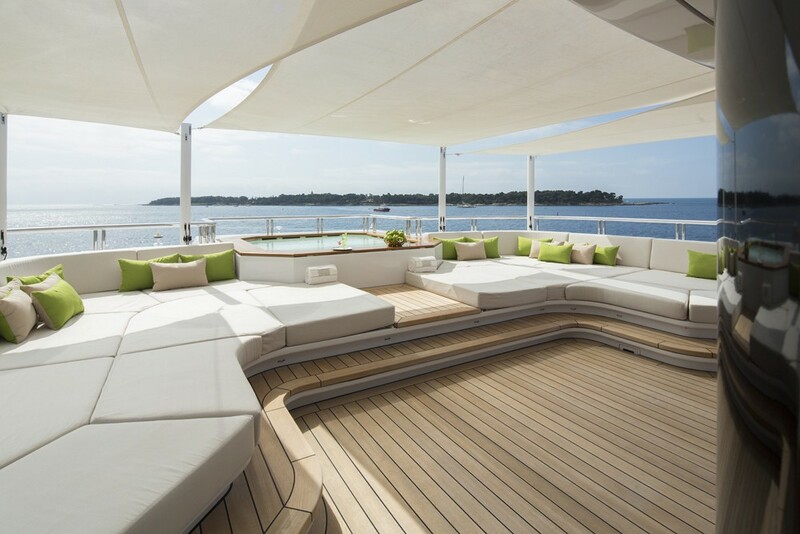 The sundeck is ideal for worshiping the sun and having some quiet time. 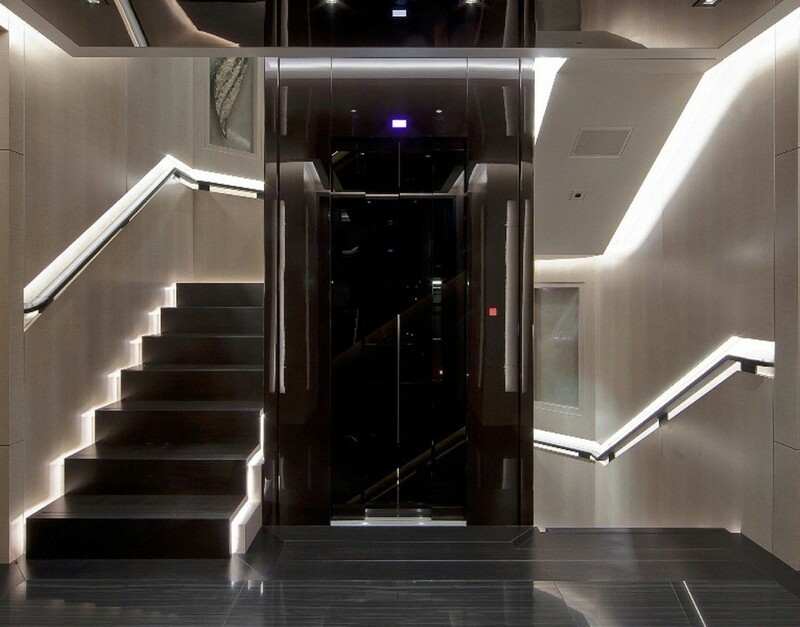 There is an elevator that serves all decks, making it easier for the guests to get around. 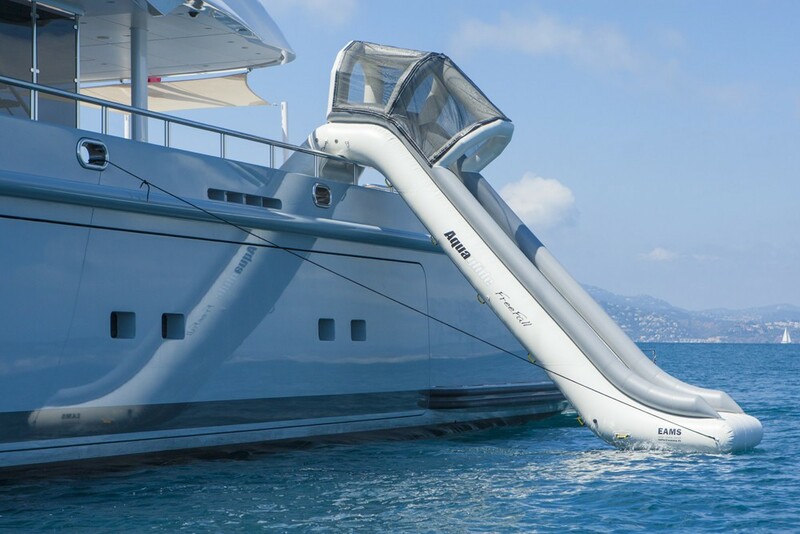 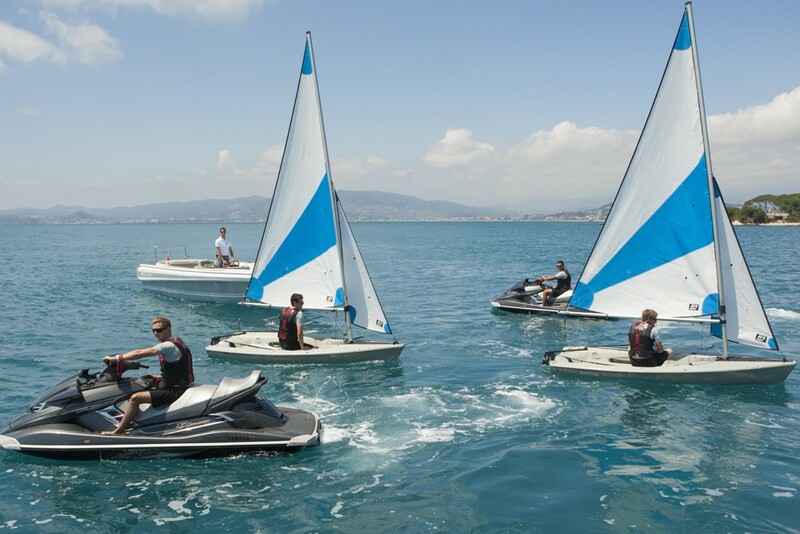 The swim platform is there to provide easy access to the water for those who adore water sports. 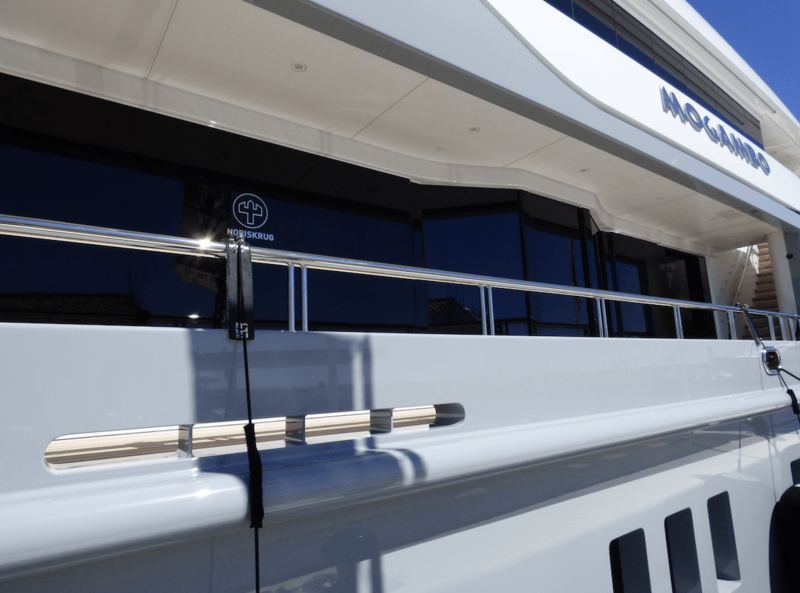 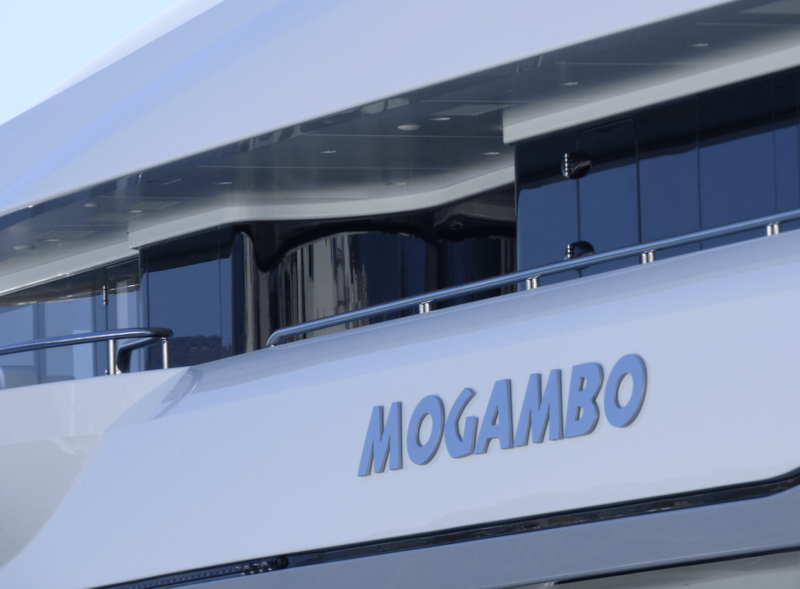 Luxury yacht MOGAMBO (hull 782) has a beam of 12 meters (39.4ft), a draft of almost 3.55 meters (12ft) and is powered by twin 2,360hp MTU 16V 4000 M60 diesel engines. 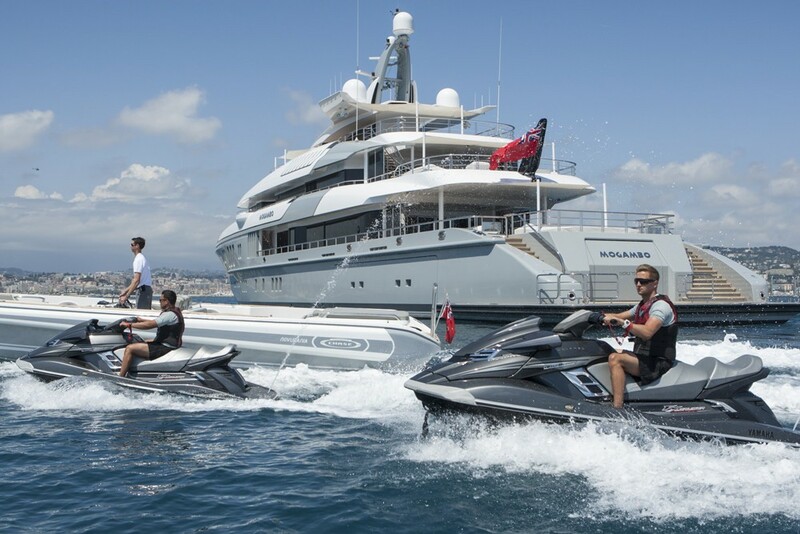 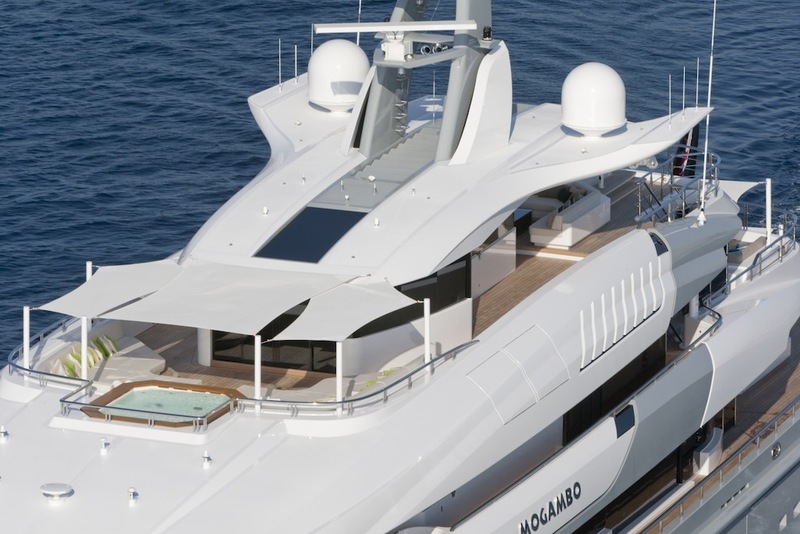 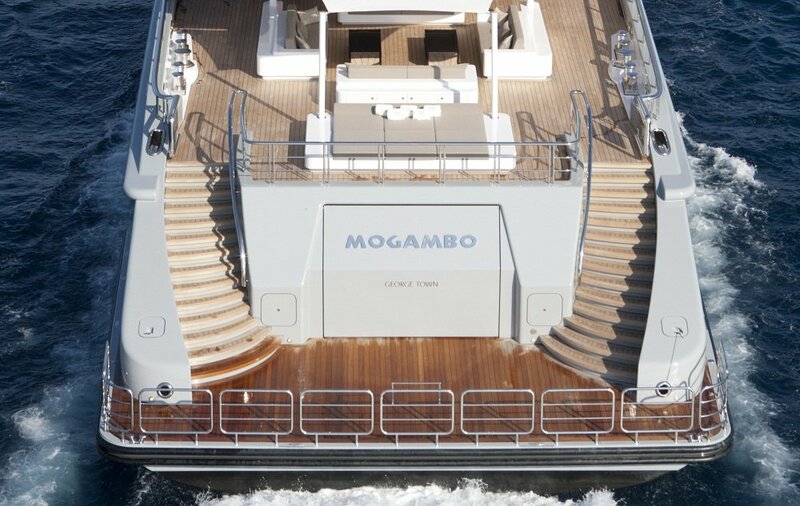 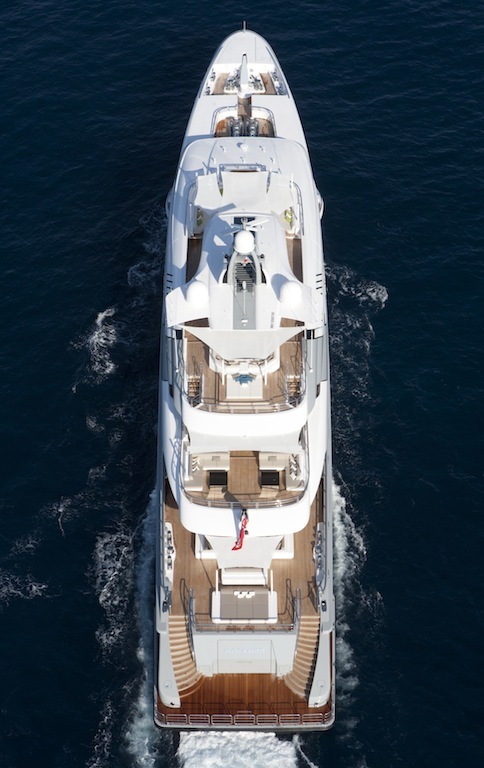 Mogambo superyacht cruises at 14.5 knots reaching a maximum speed of 17 knots. 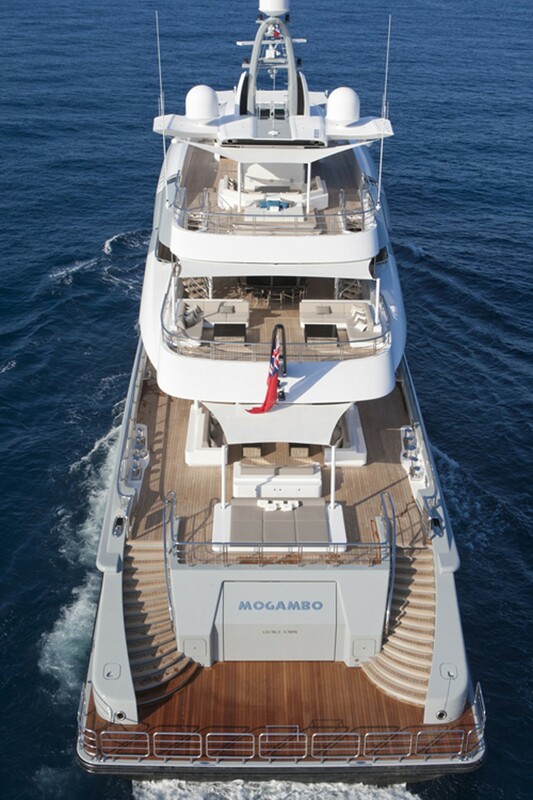 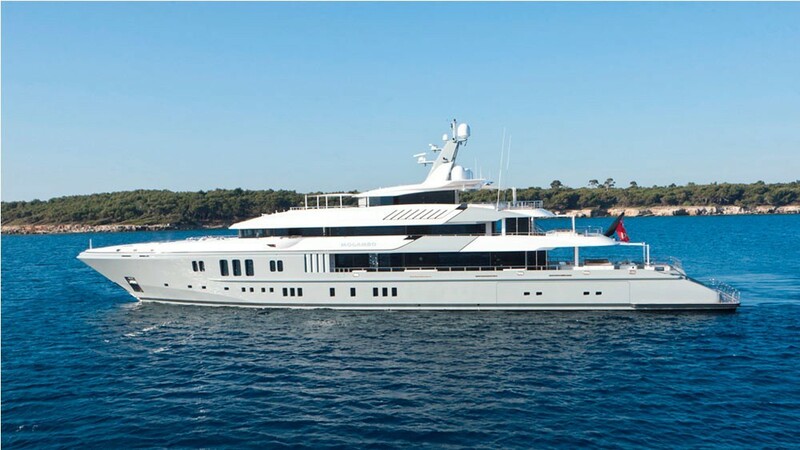 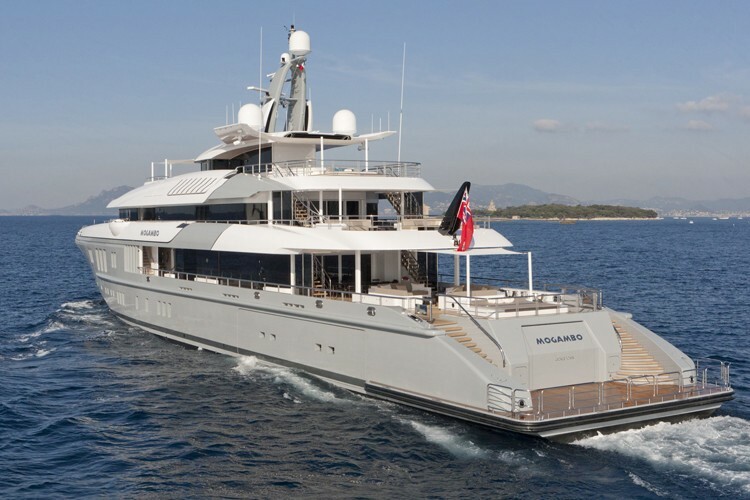 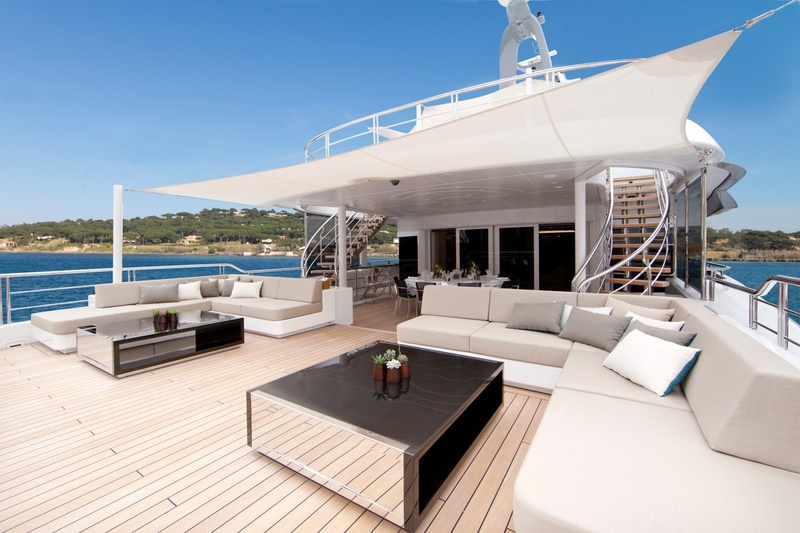 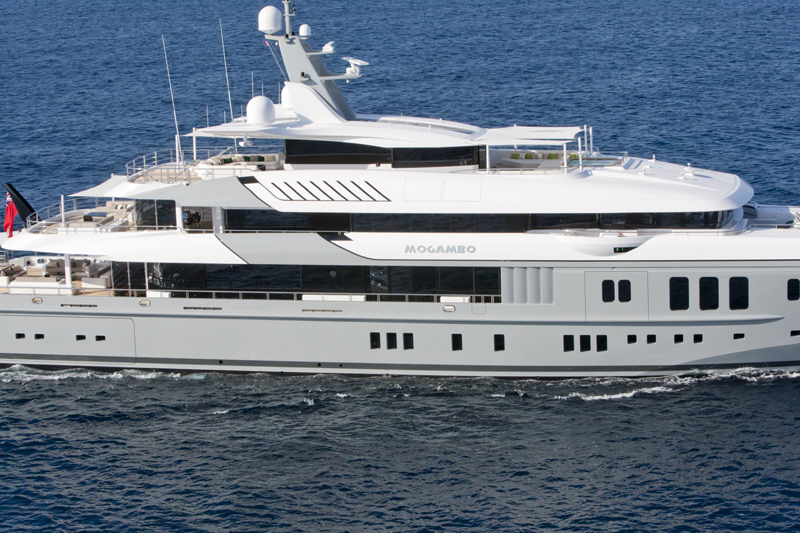 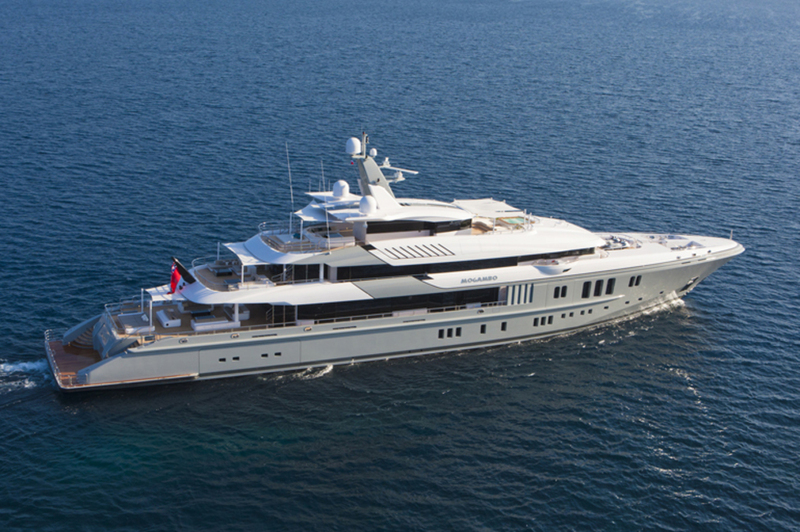 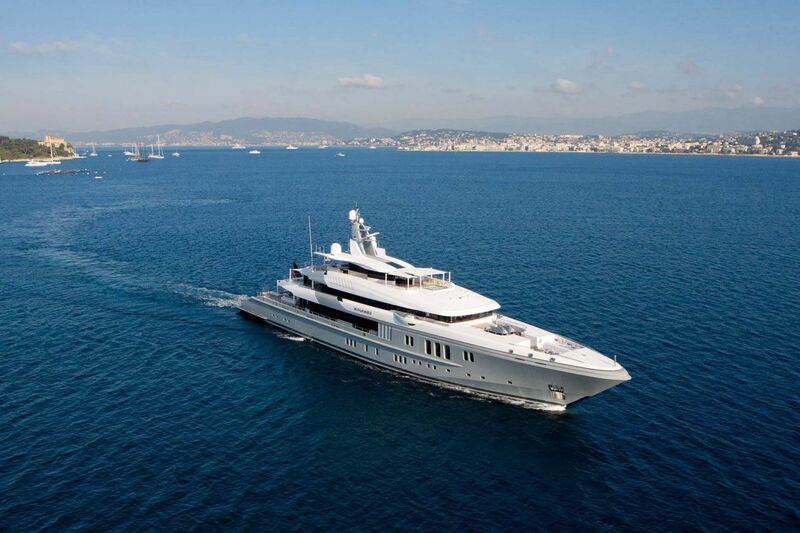 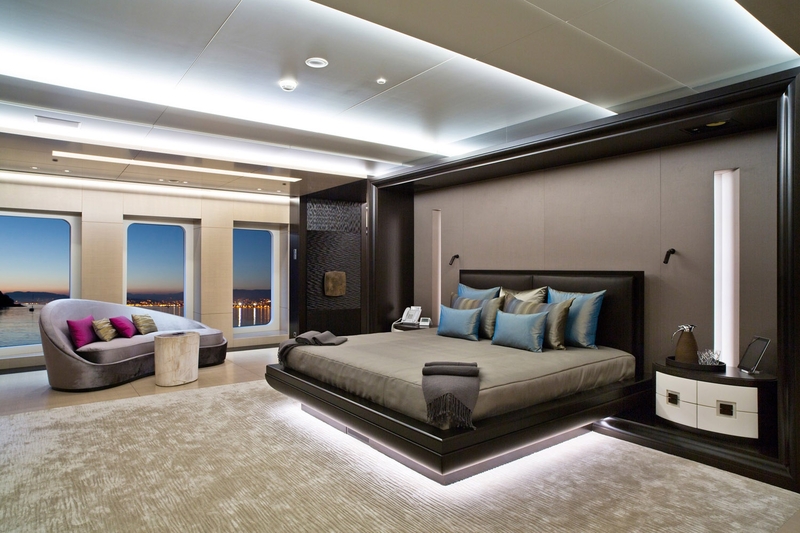 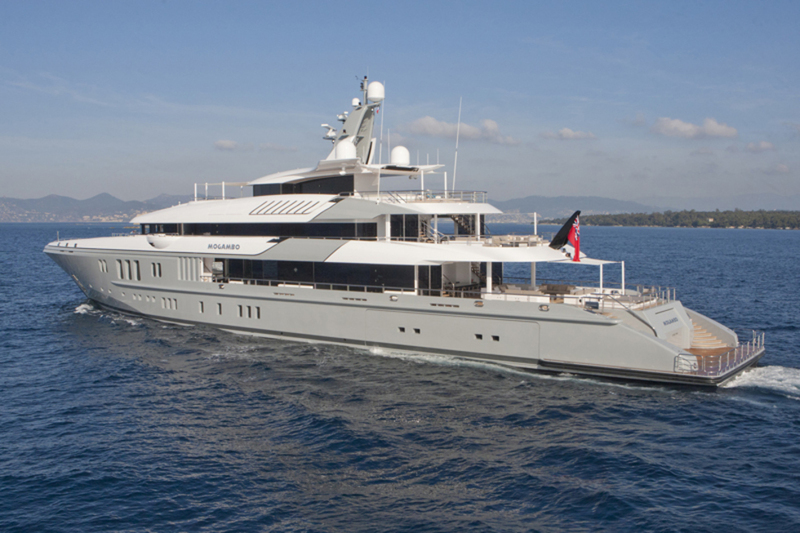 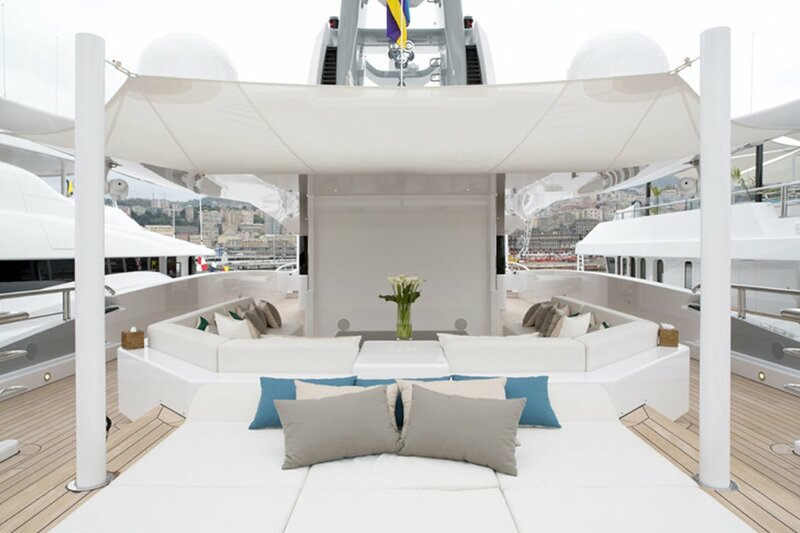 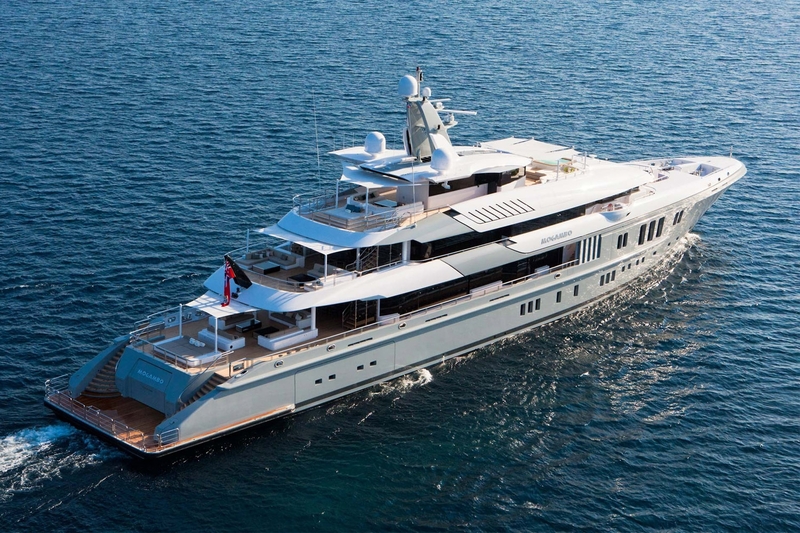 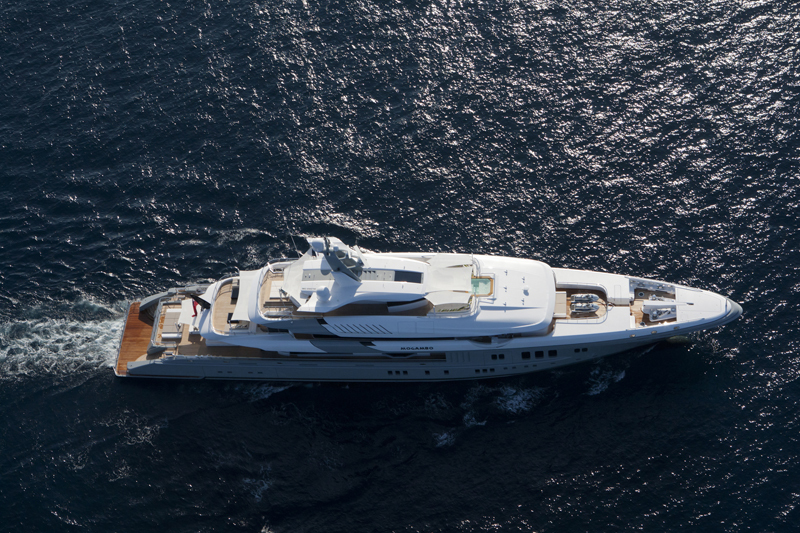 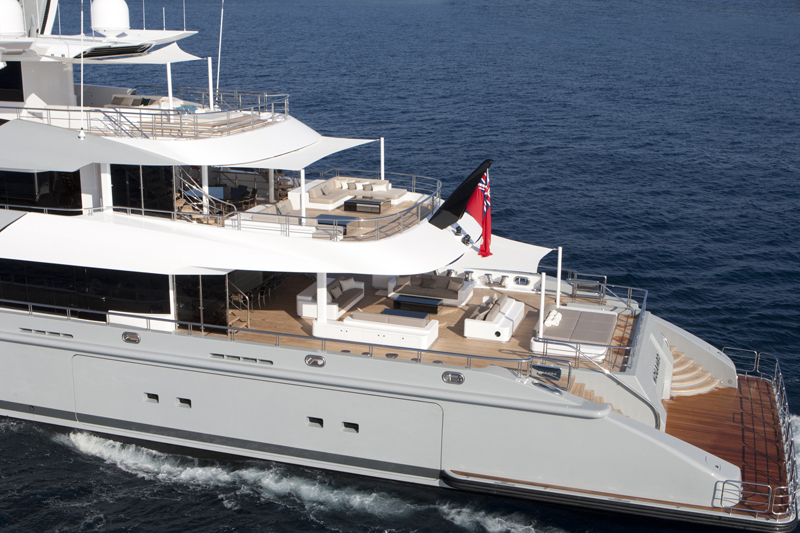 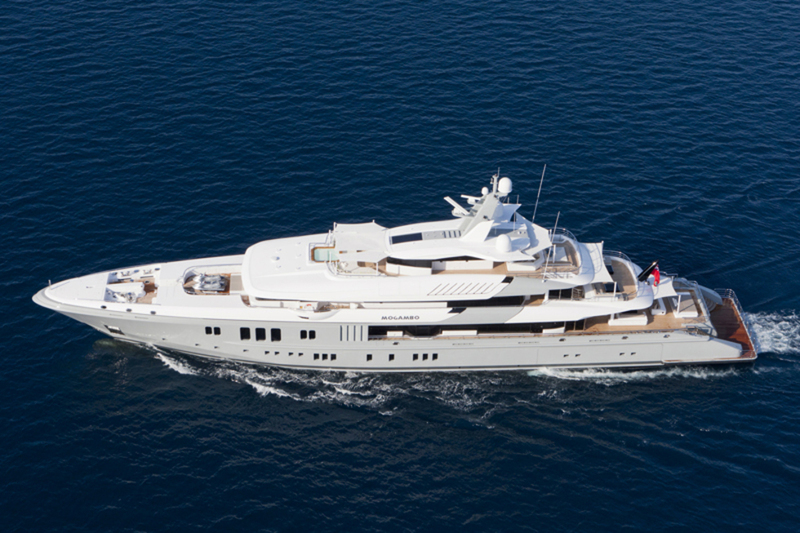 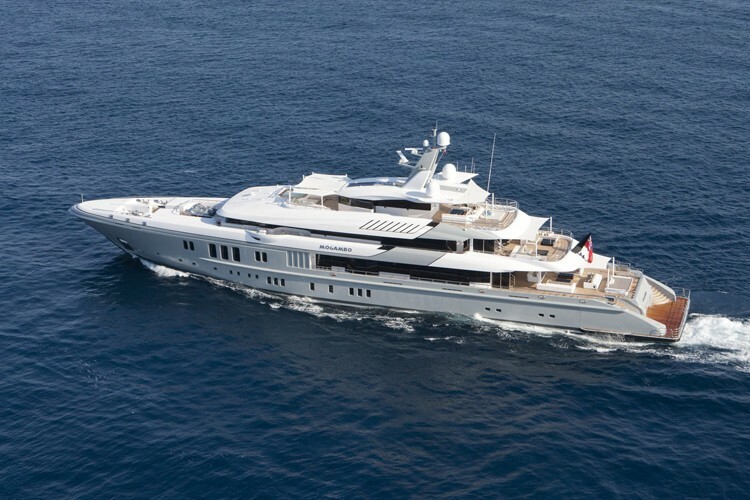 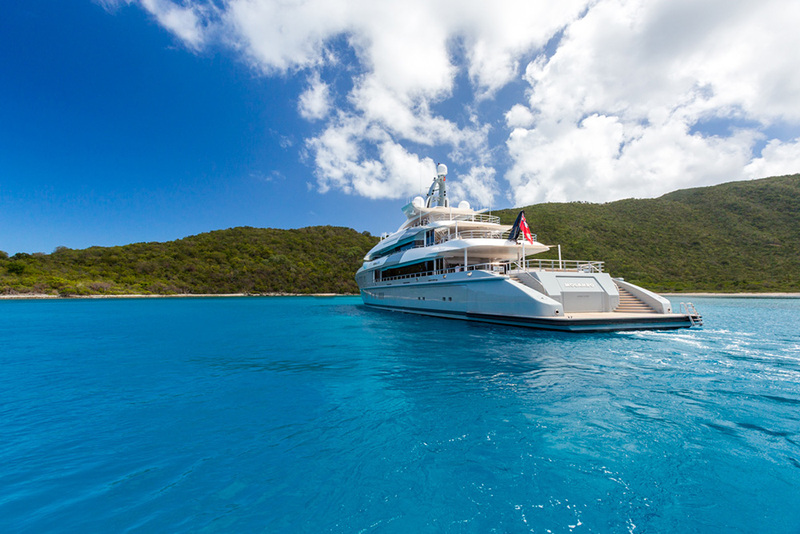 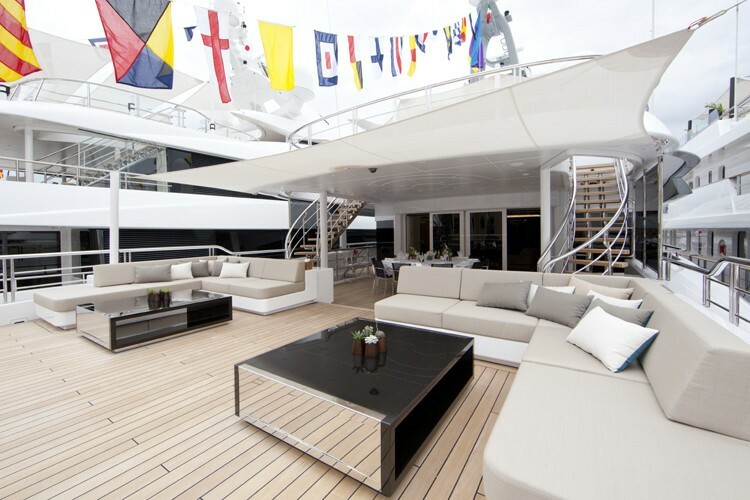 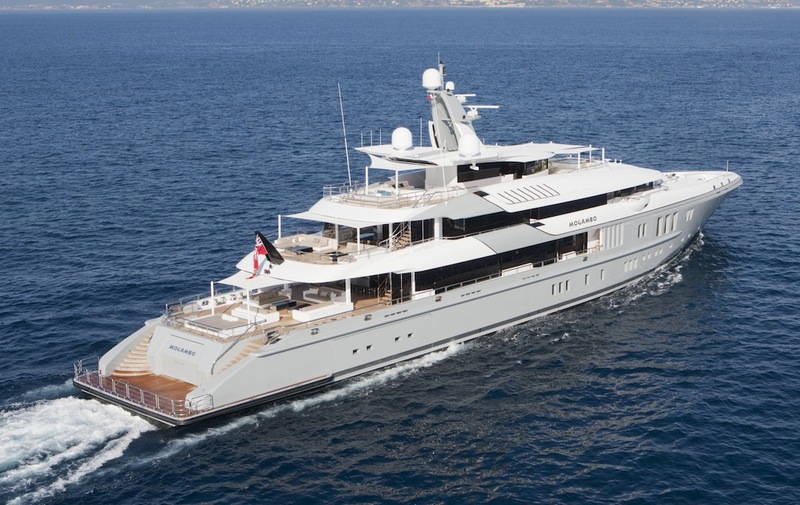 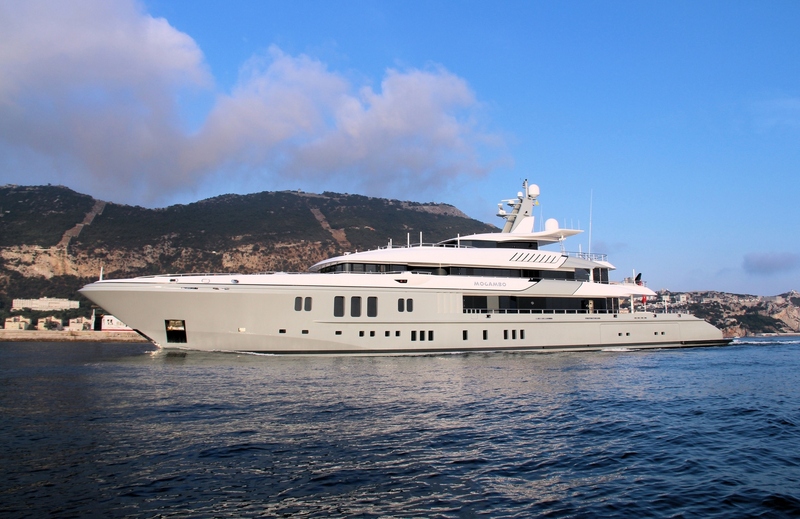 Nobiskrug 74m superyacht Mogambo accommodates 12 guests in 6 highly comfortable cabins, serviced by a 17-member crew. 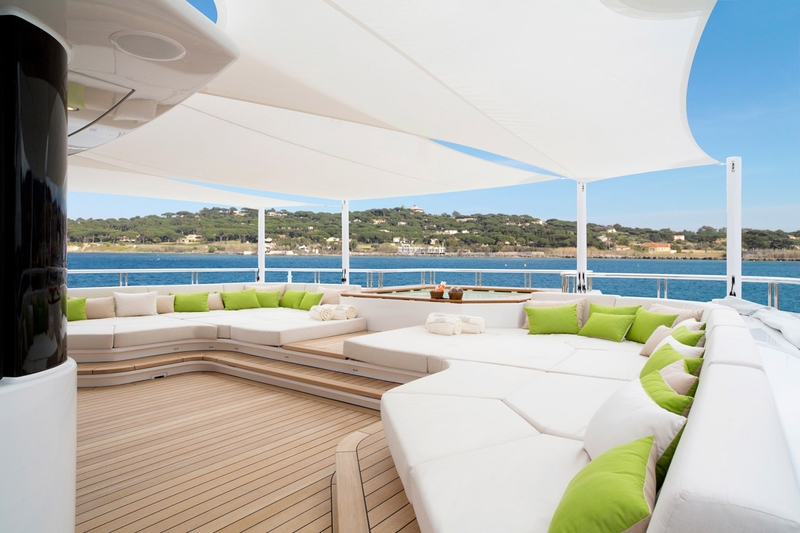 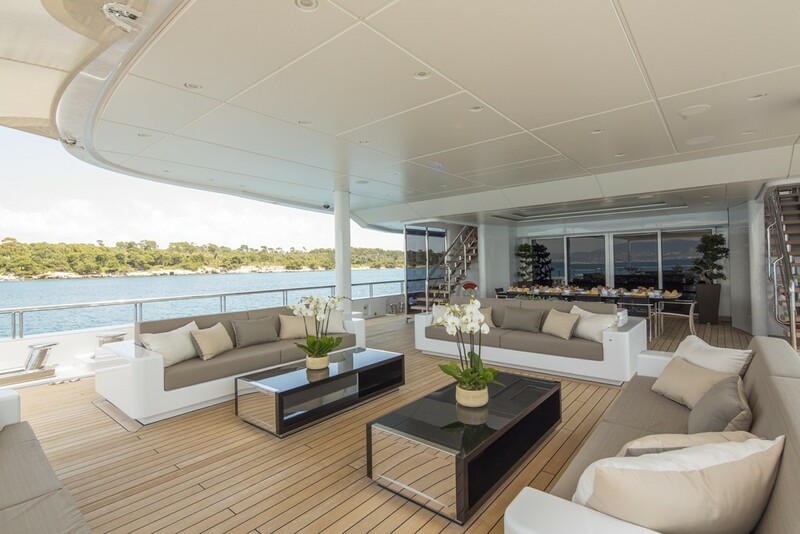 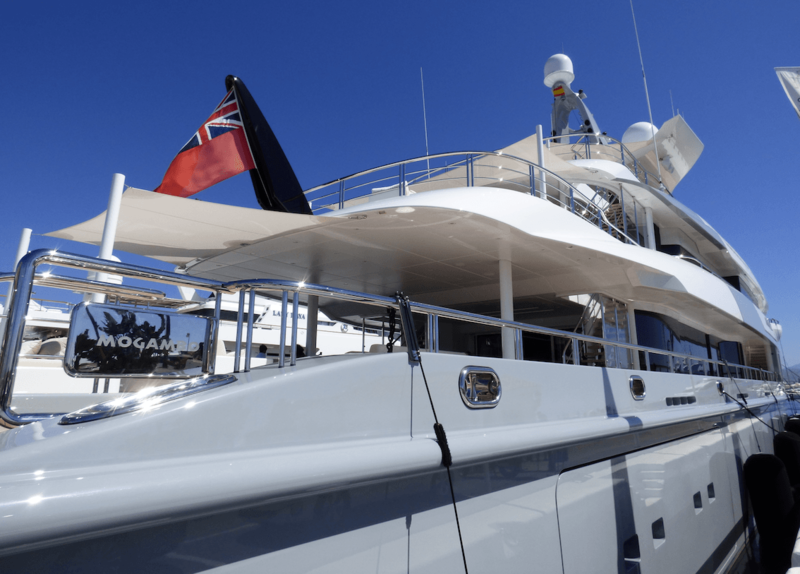 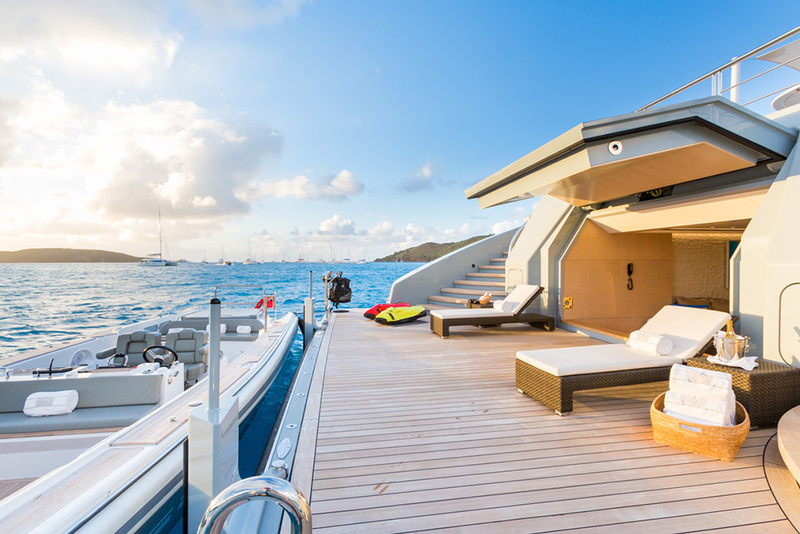 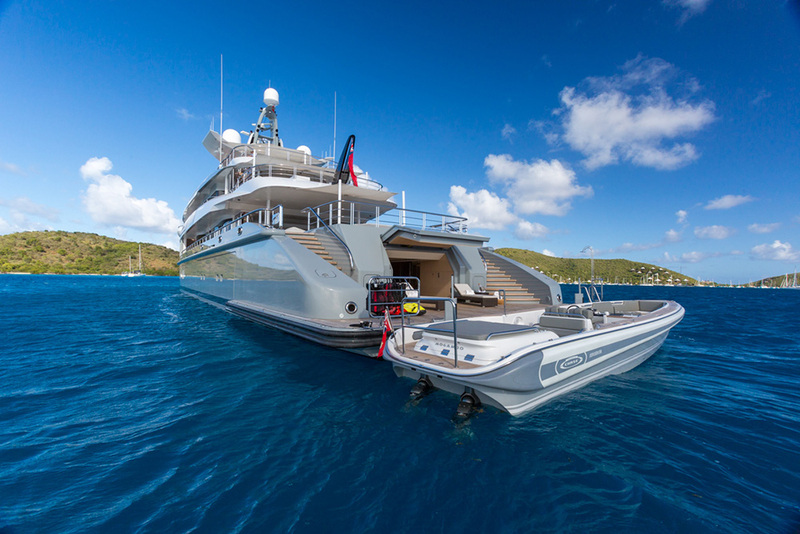 She has a simple and contemporary layout, with seating sunpads on the sundeck, bridge deck and main deck for the outdoor relaxation of her potential charter guests.